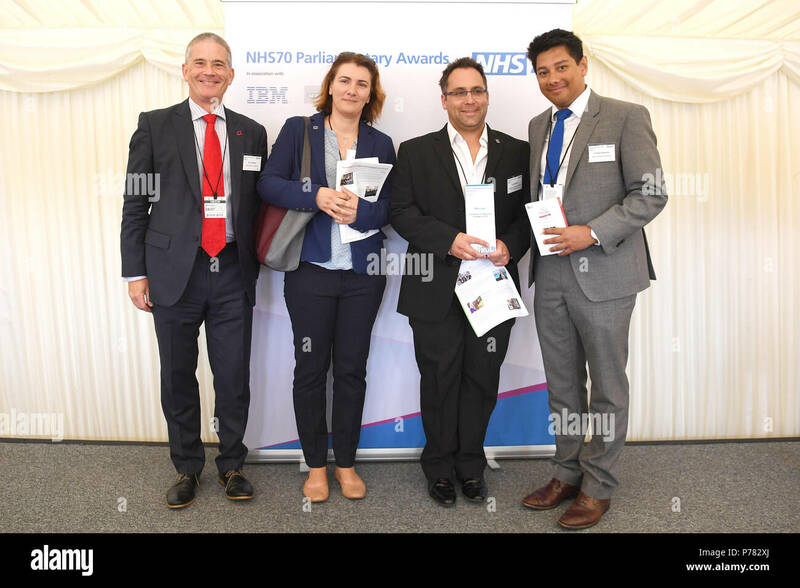 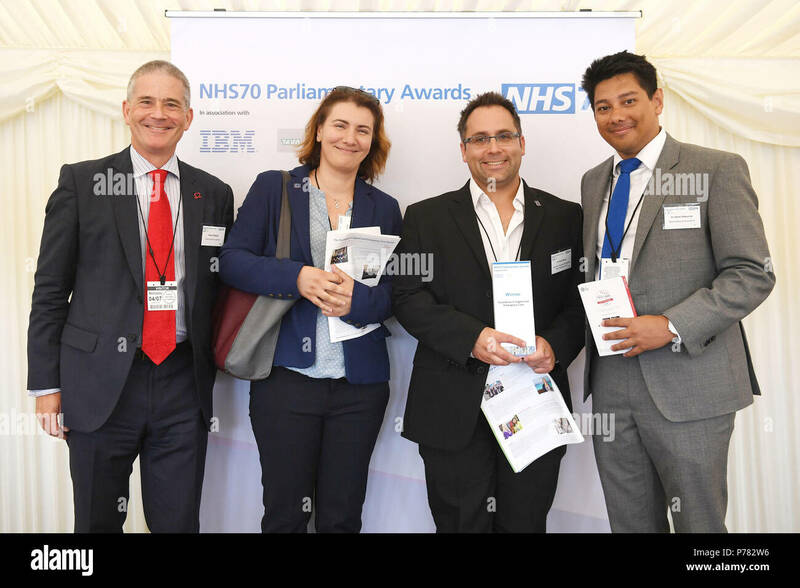 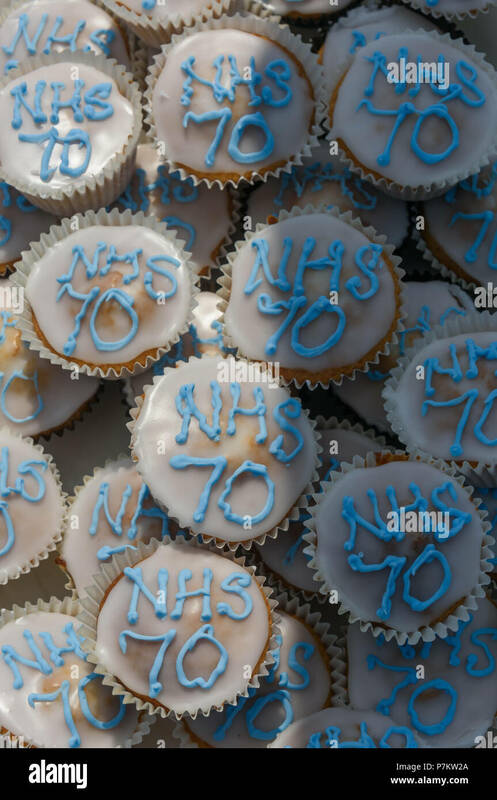 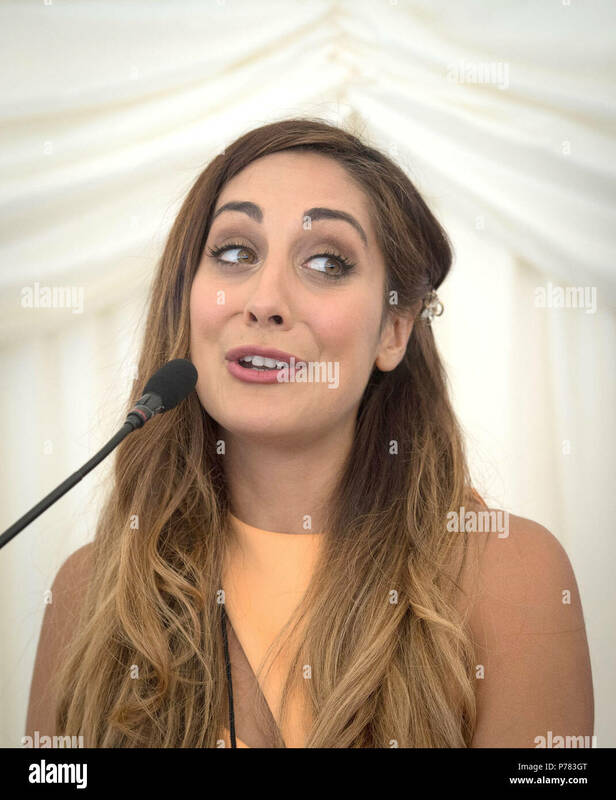 Dr Sara Kayat attends the NHS70 parliamentary awards for the 70th anniversary of the NHS at the House of Commons in Westminster, London. 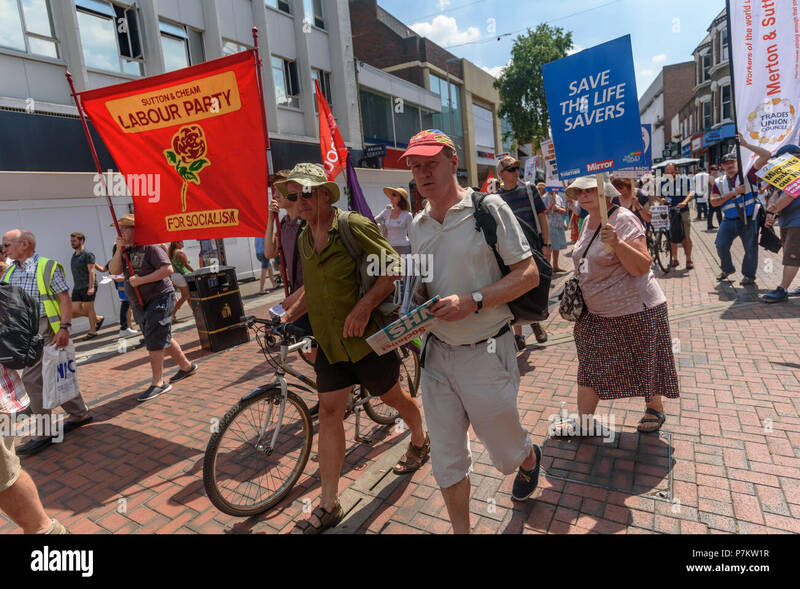 High Wycombe, UK. 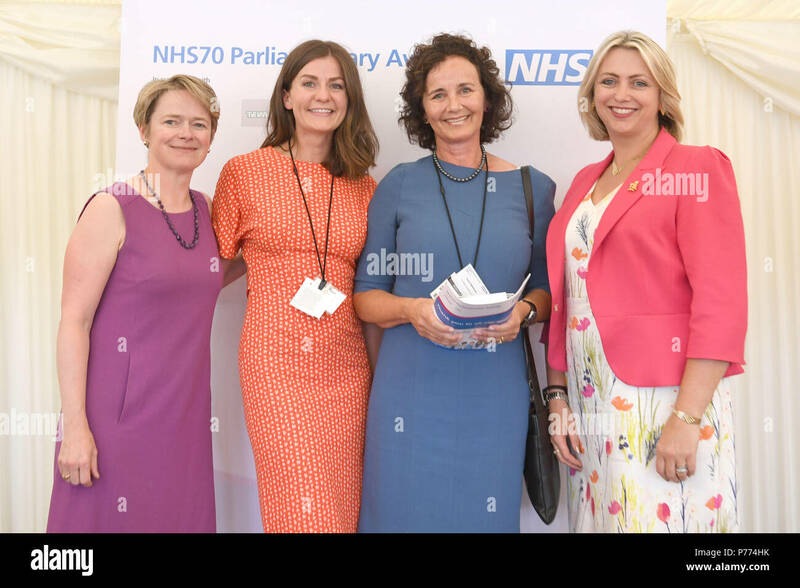 7th July 2018. 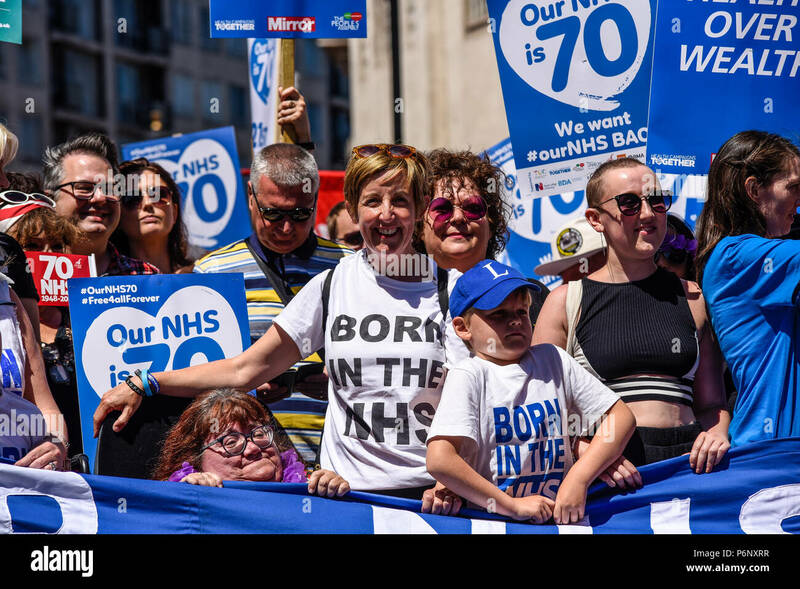 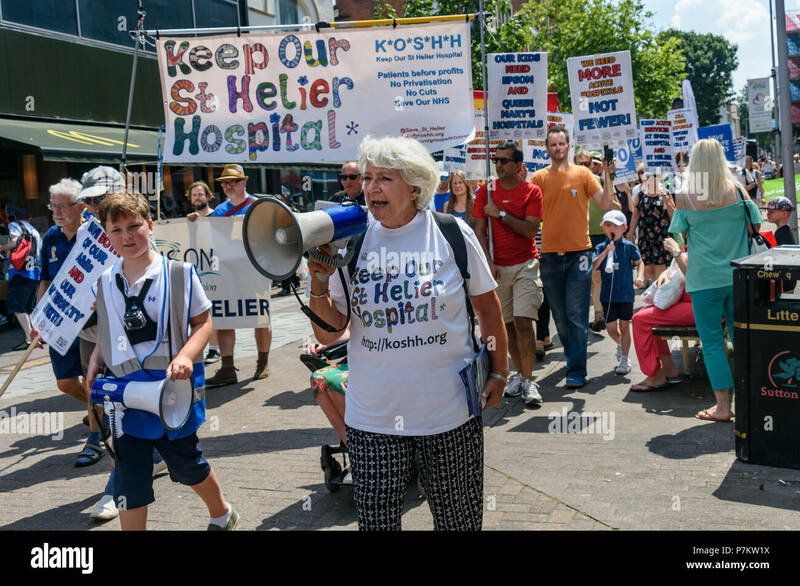 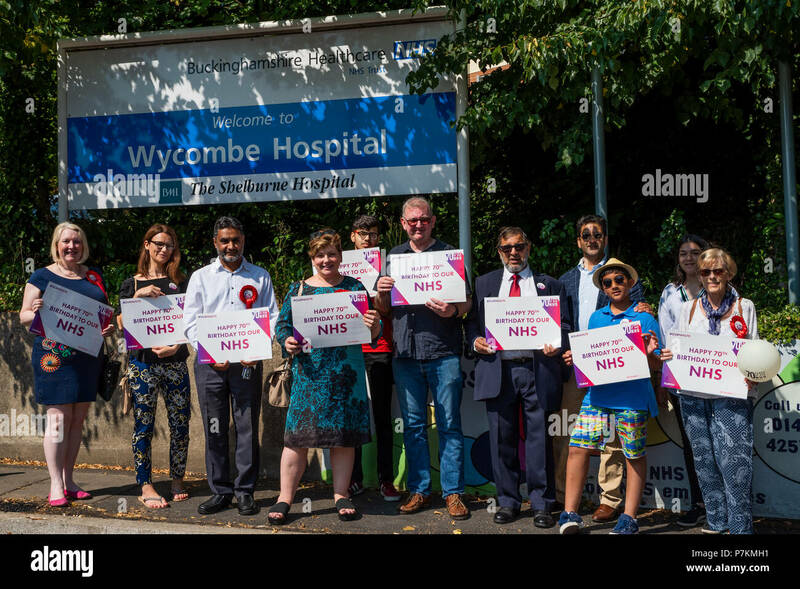 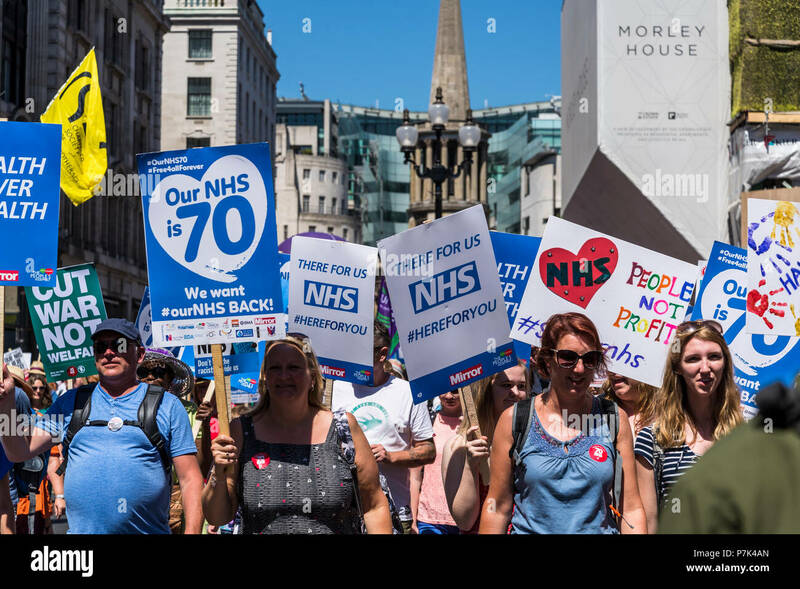 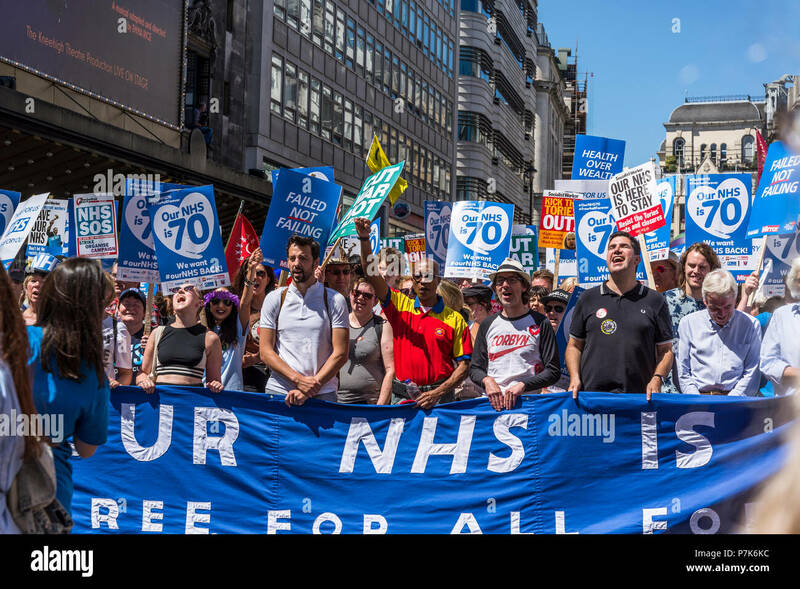 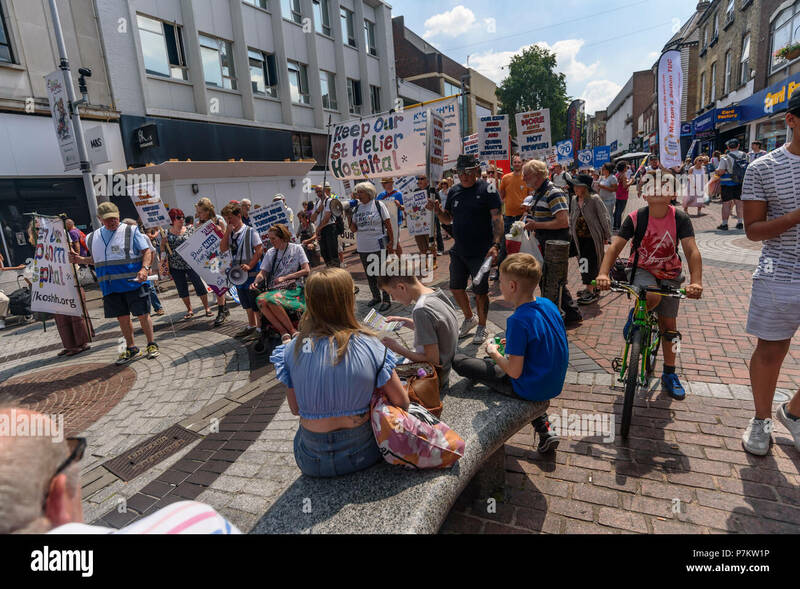 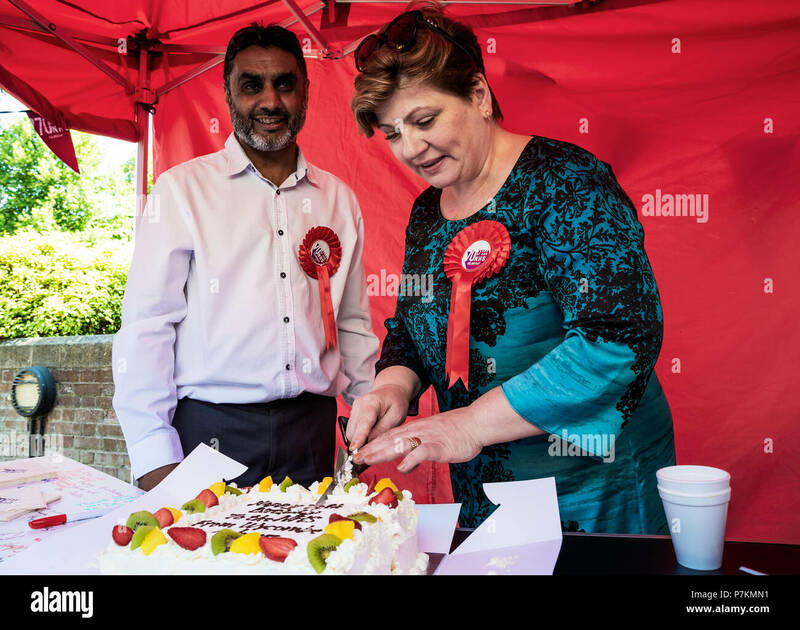 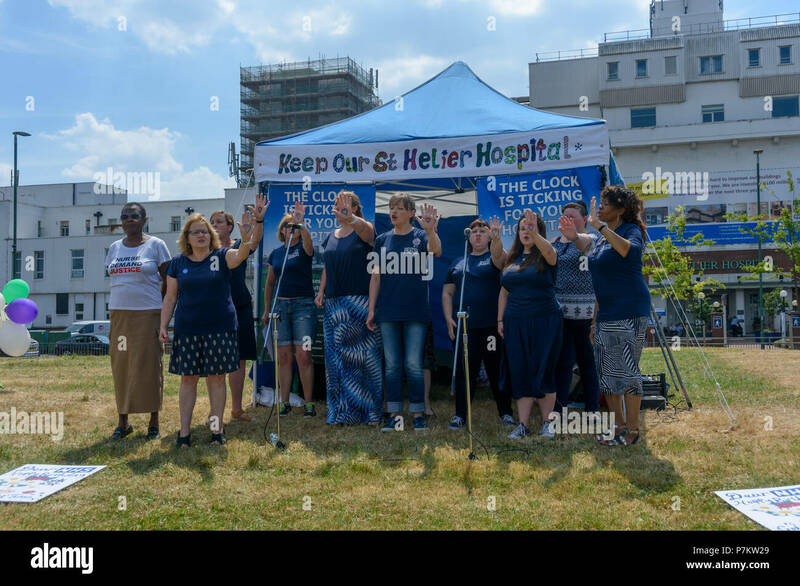 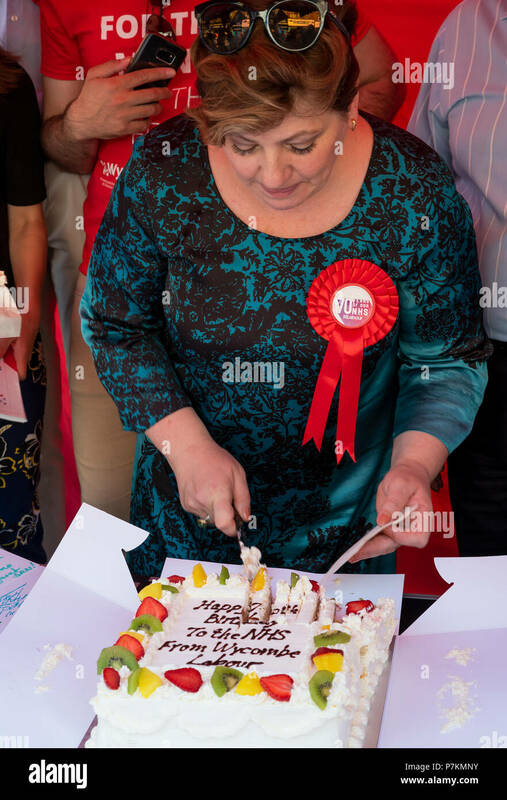 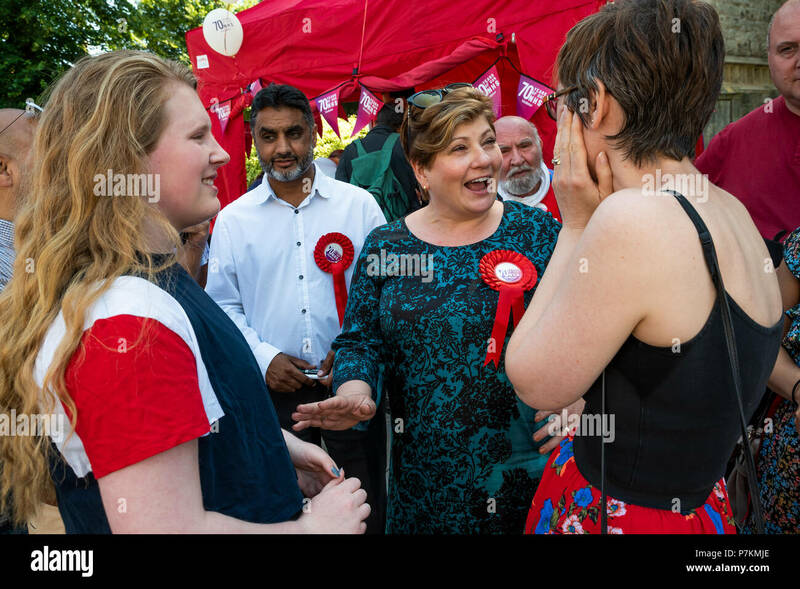 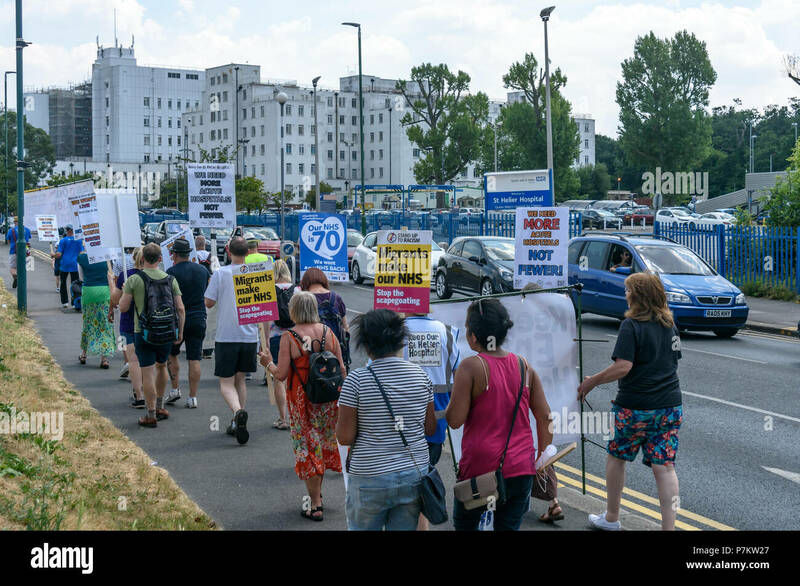 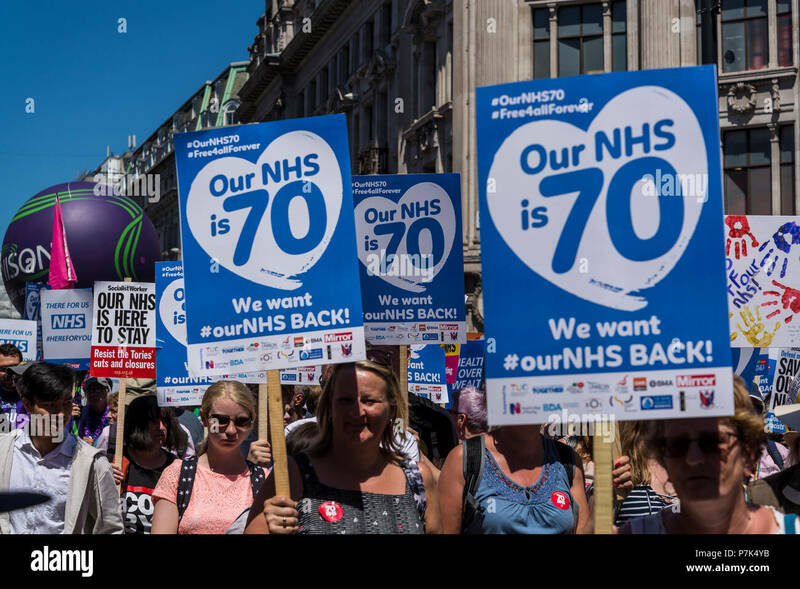 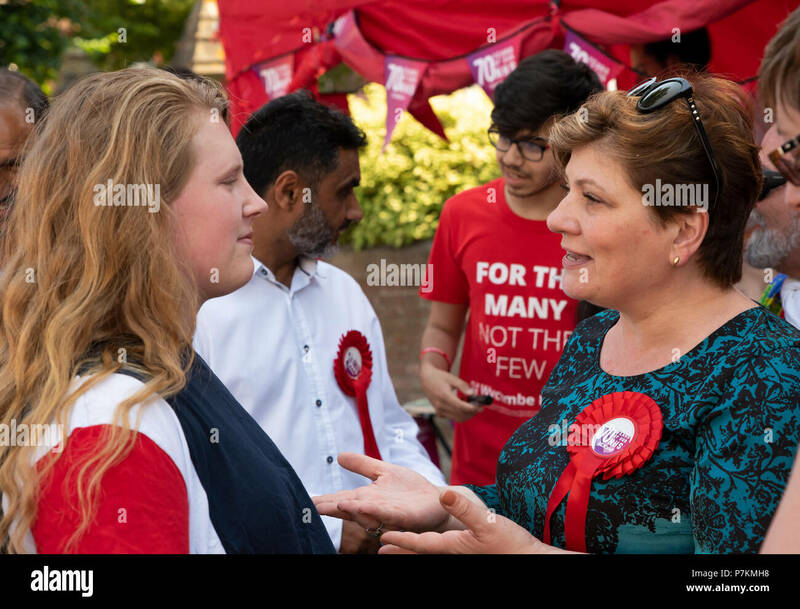 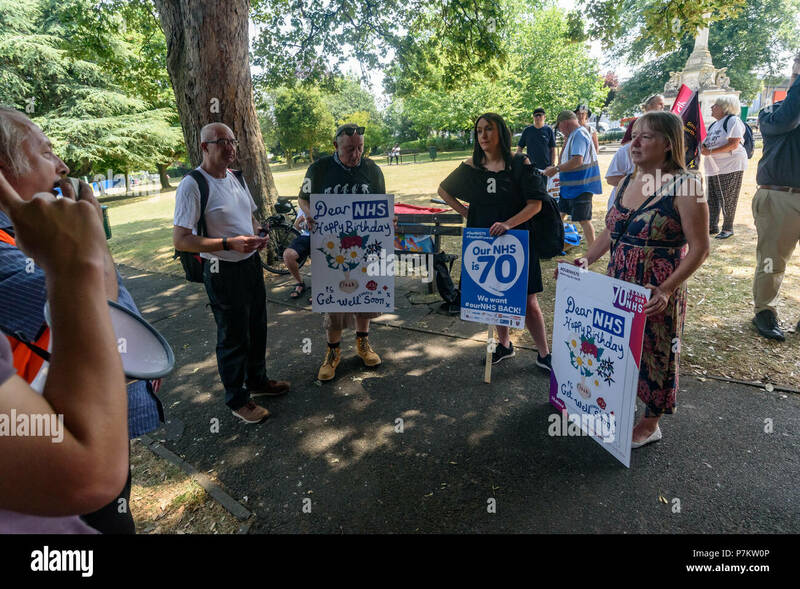 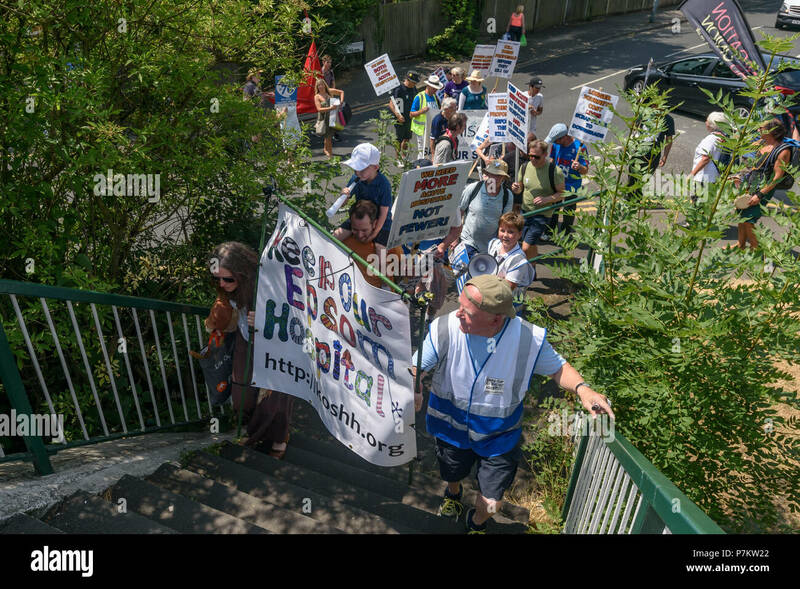 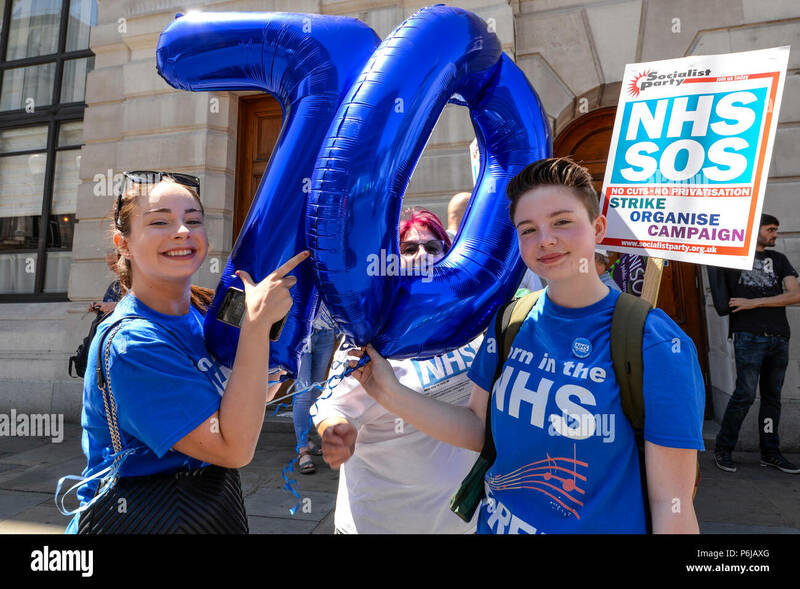 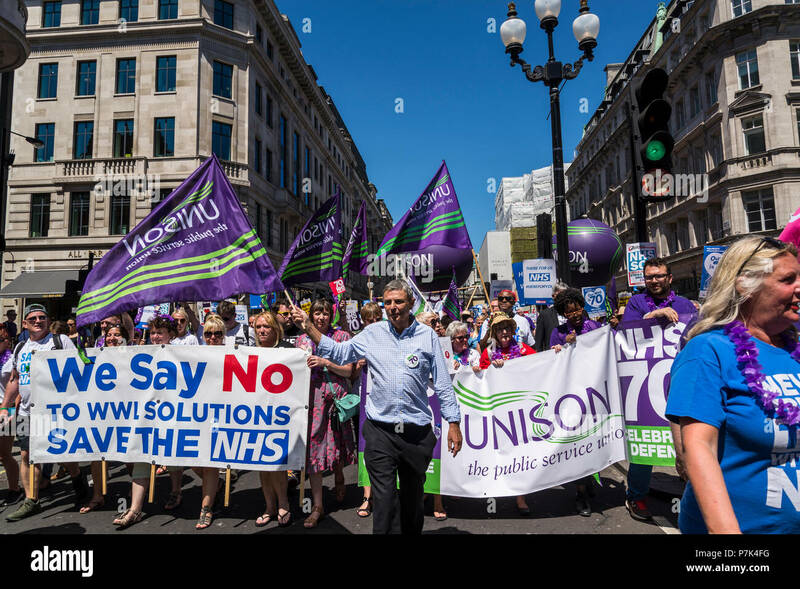 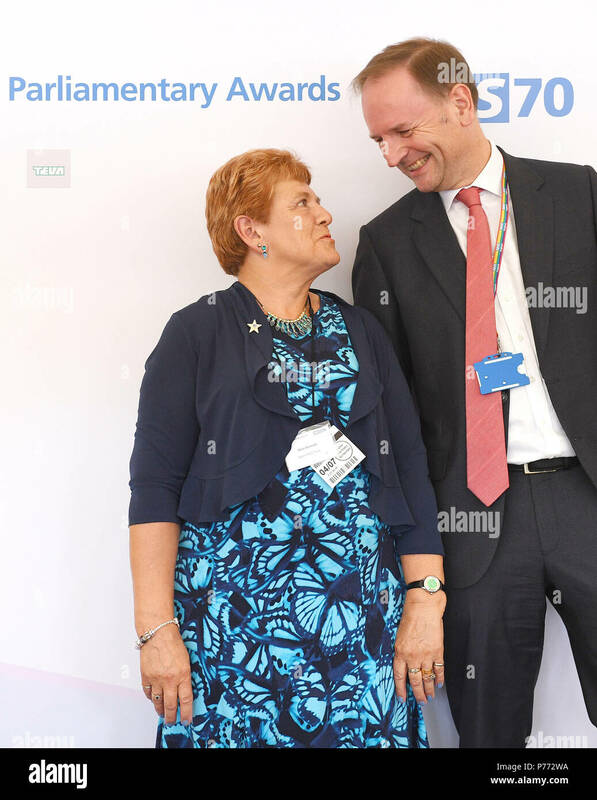 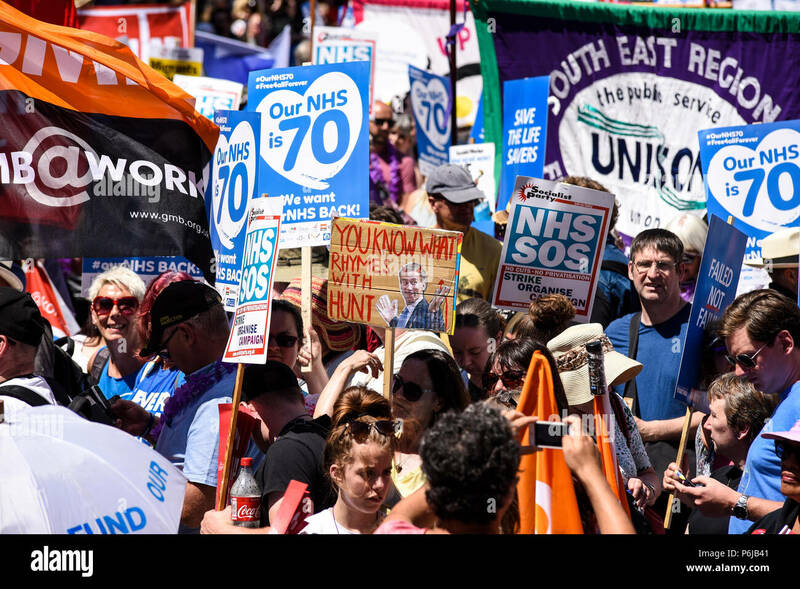 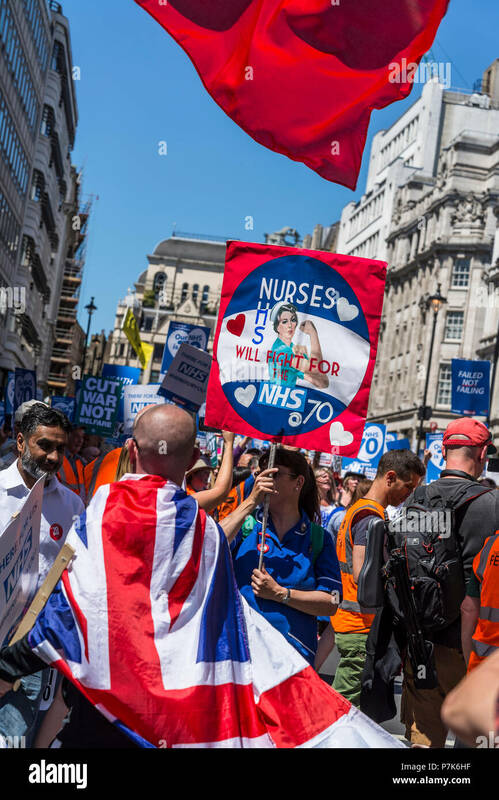 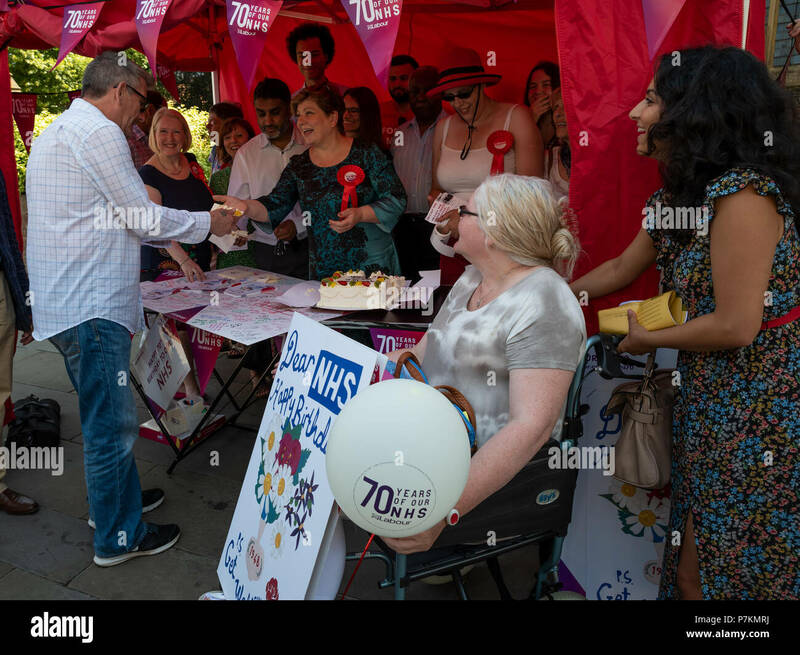 Emily Thornberry, Labour Shadow Secretary of State for Foreign and Commonwealth Affairs, visited High Wycombe as part of Labours NHS 70 year birthday celebration. 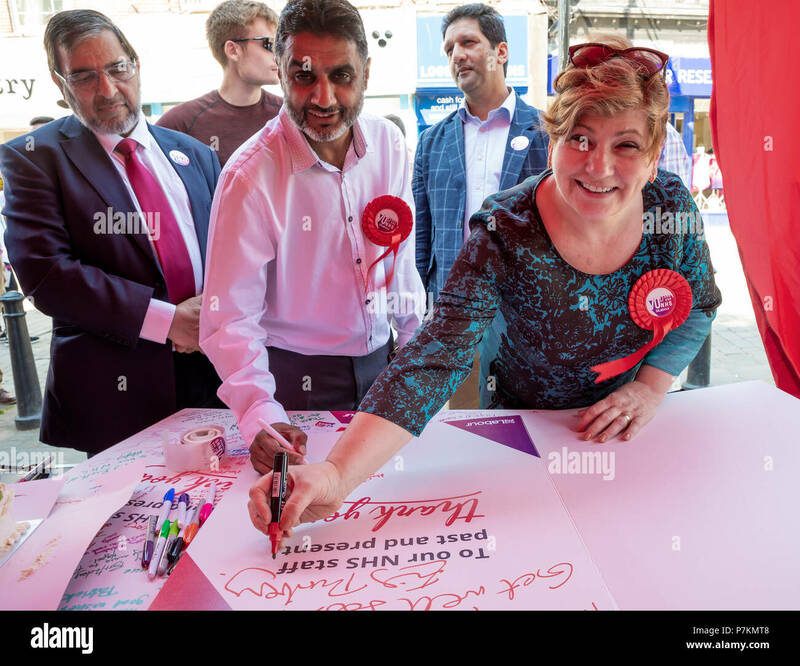 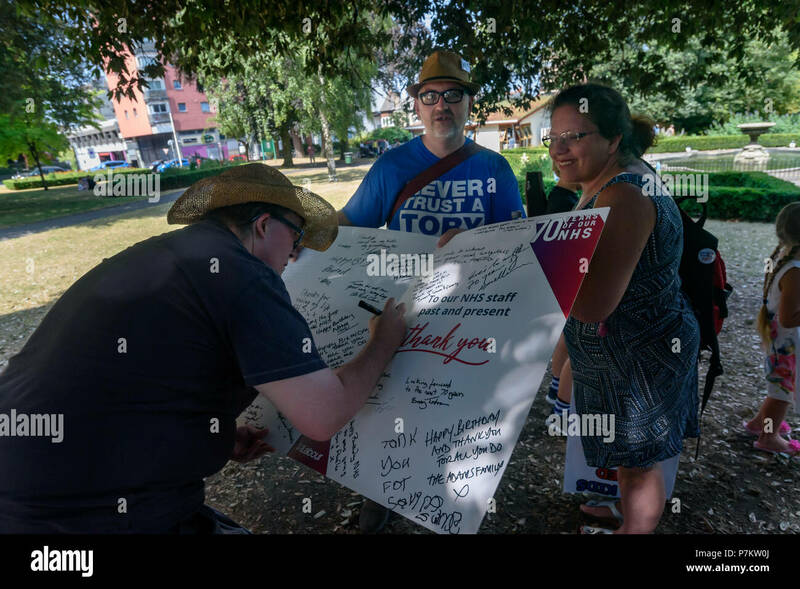 Emily and members of the public signed a large birthday and get well card. 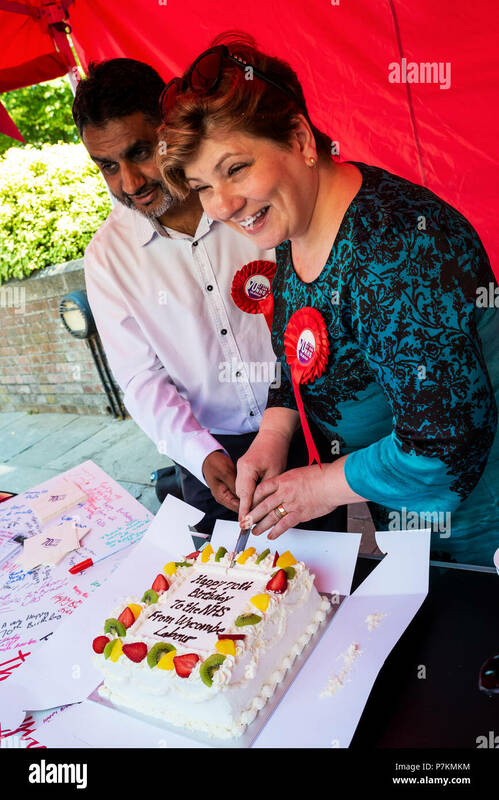 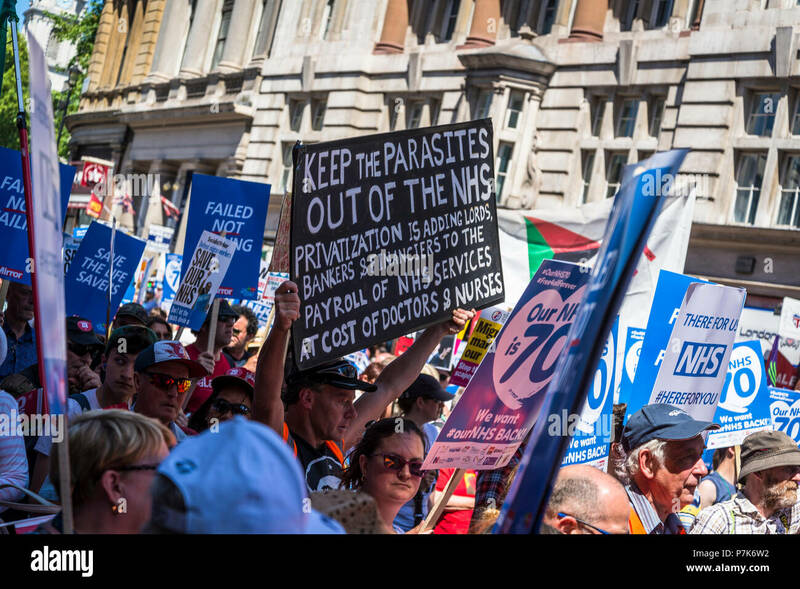 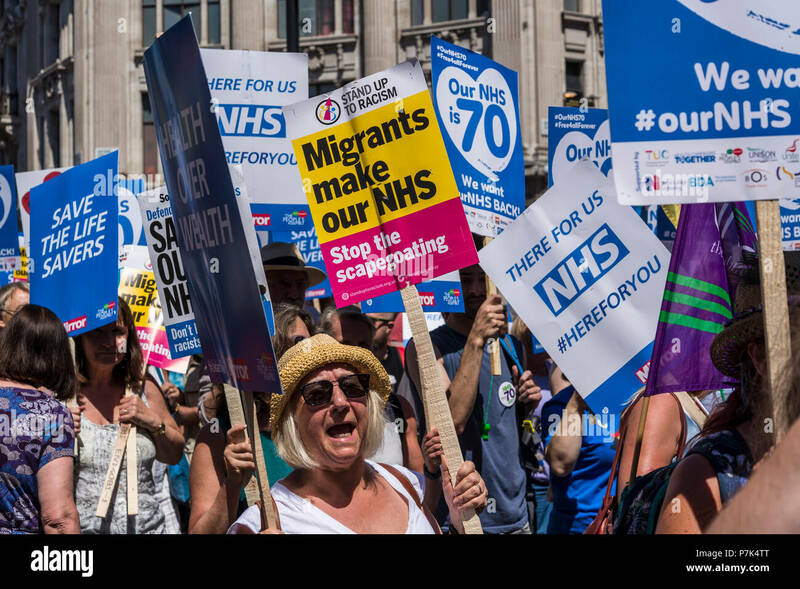 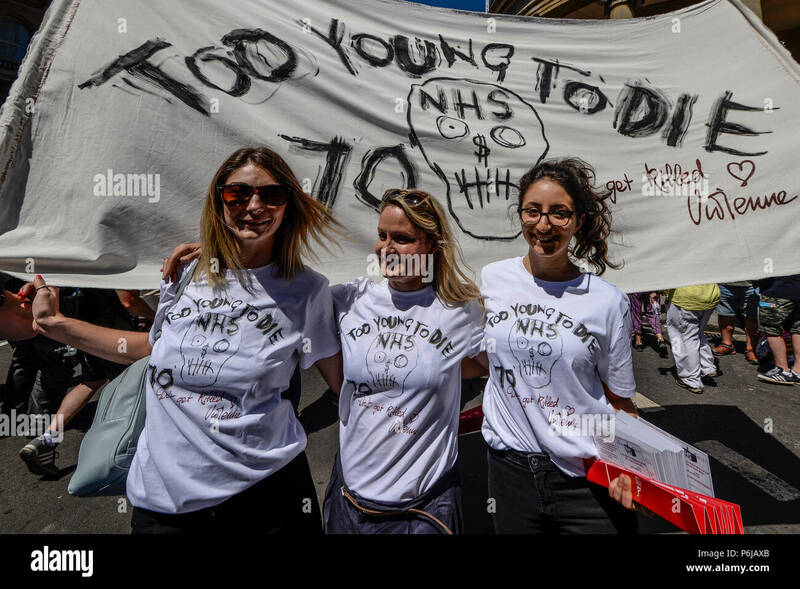 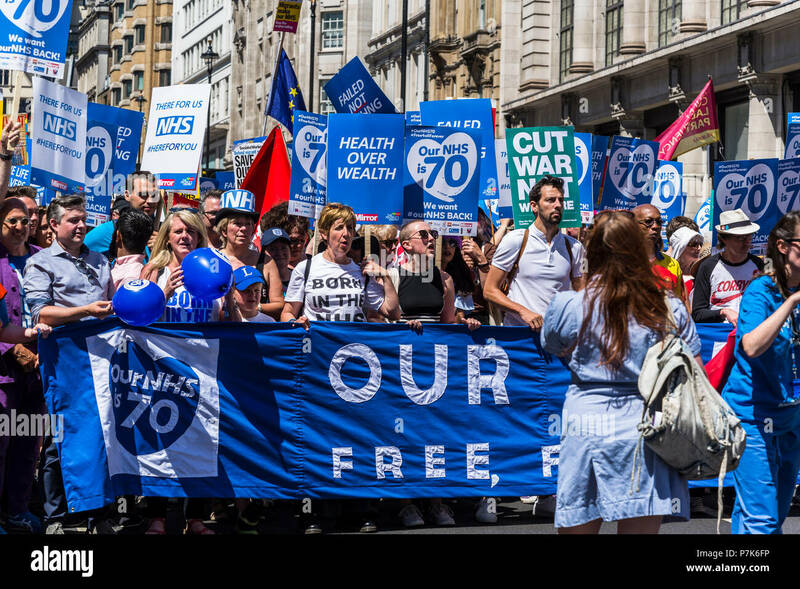 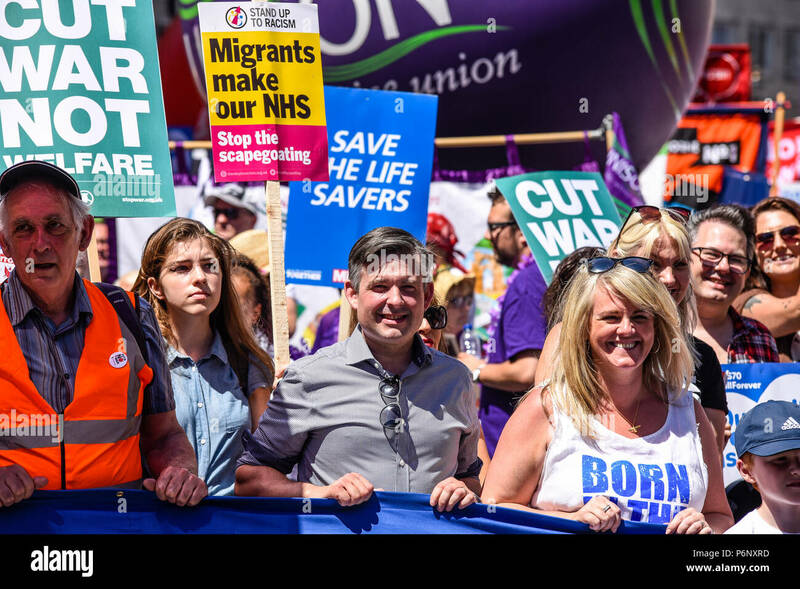 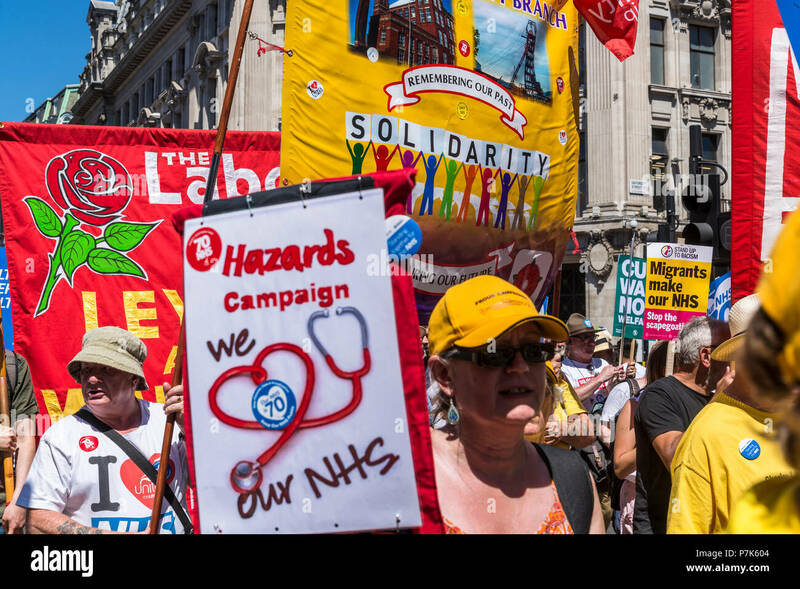 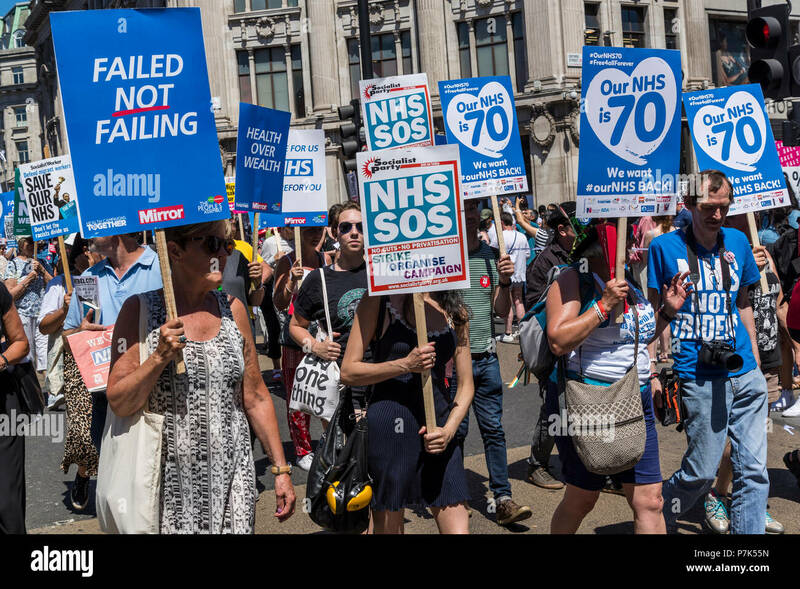 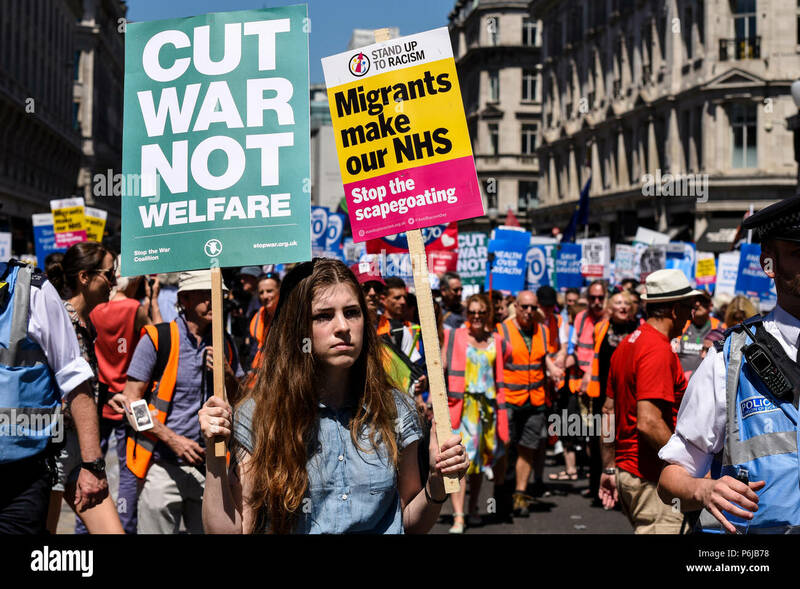 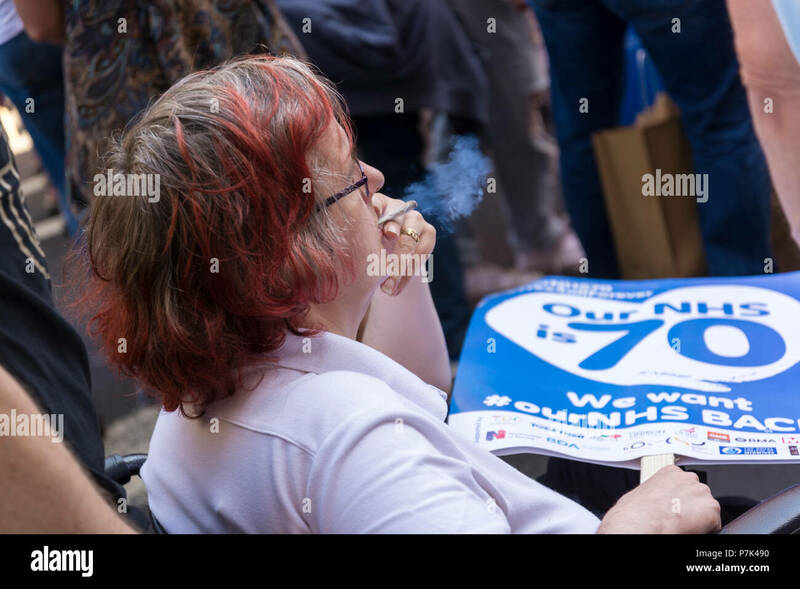 Emily also cut an NHS birthday cake that was eaten by NHS supporters. 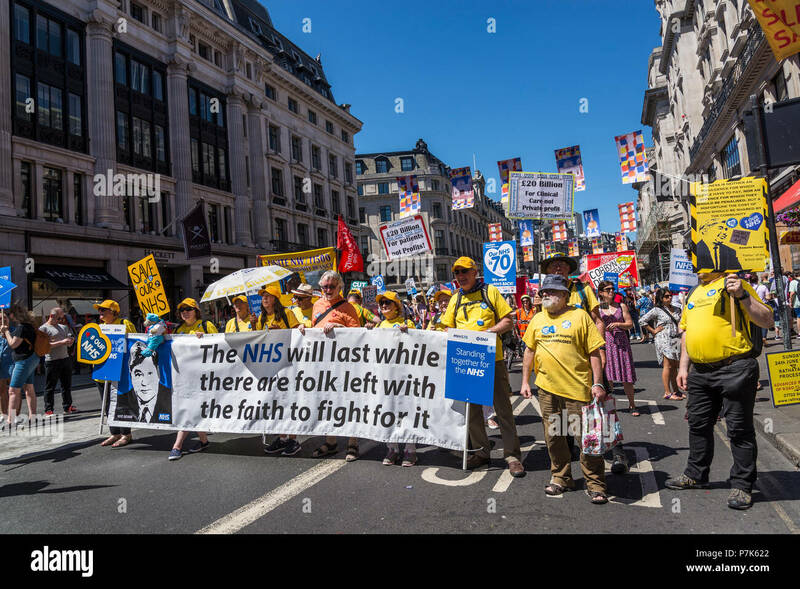 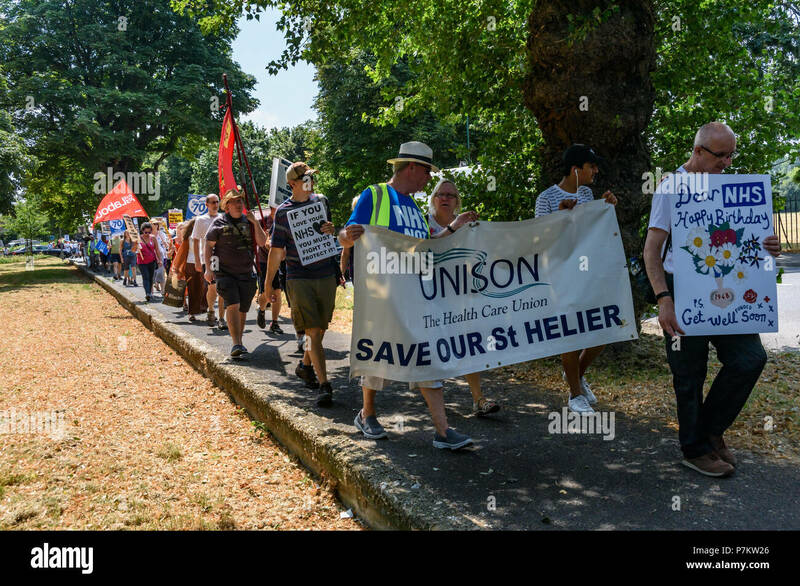 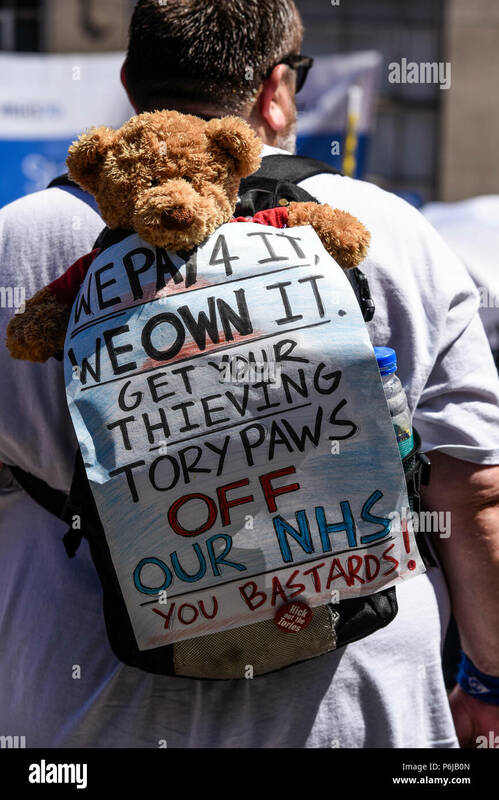 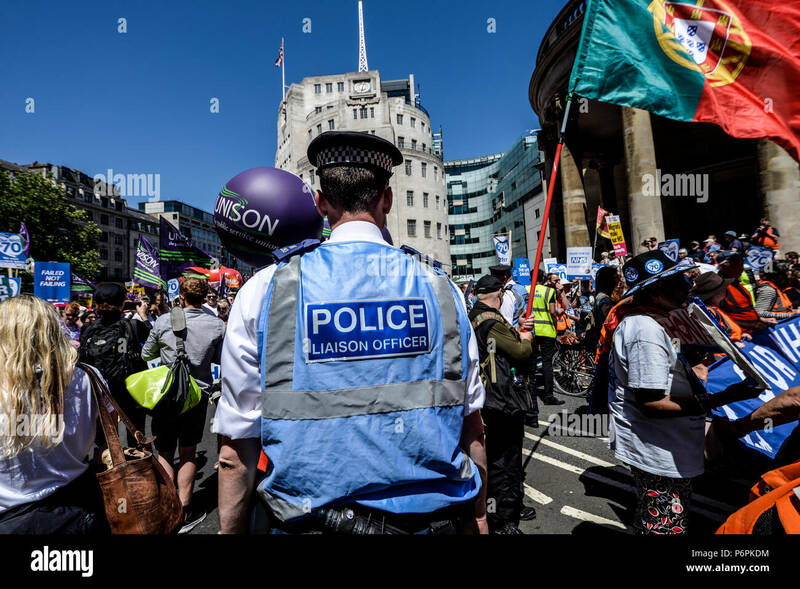 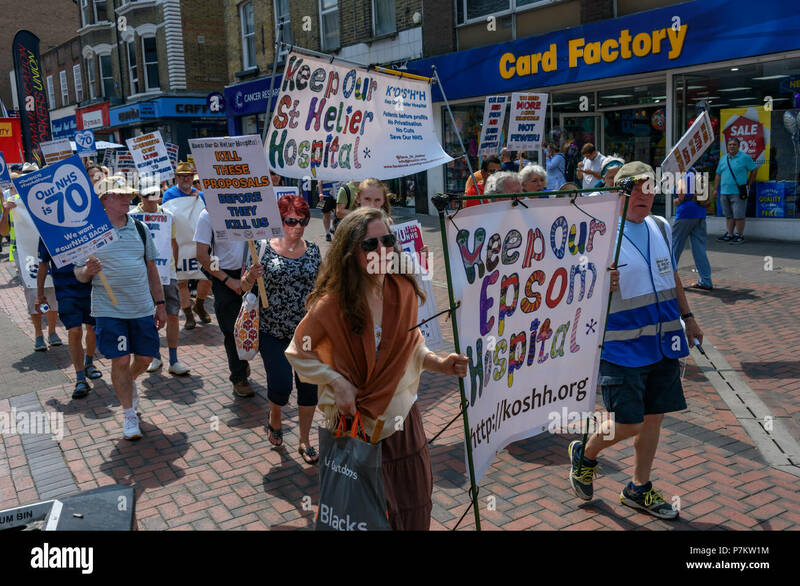 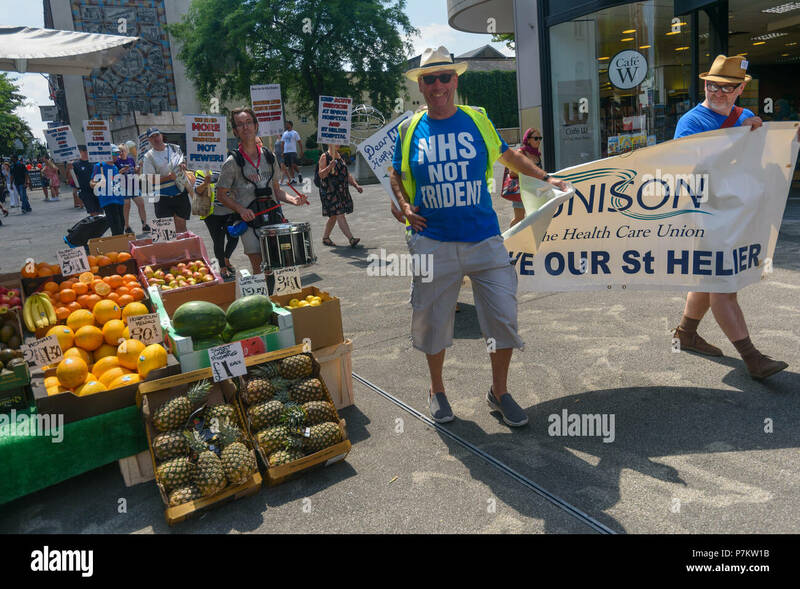 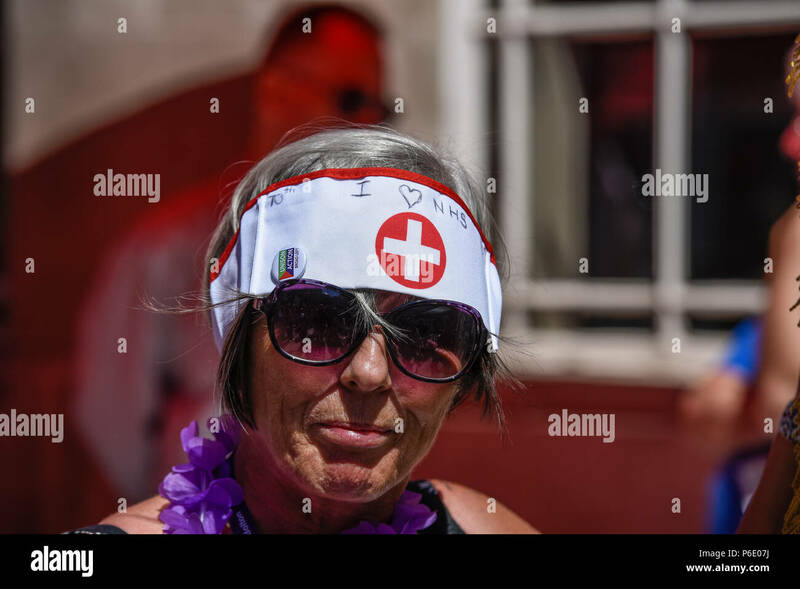 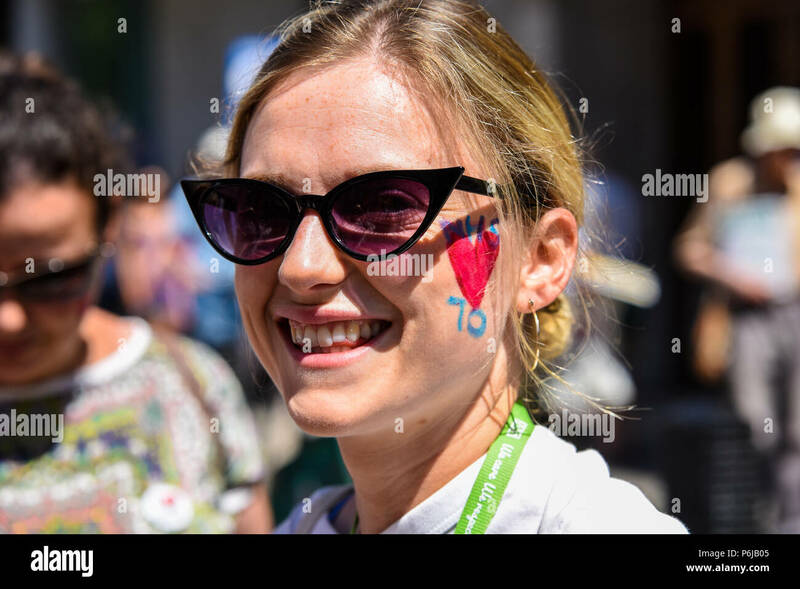 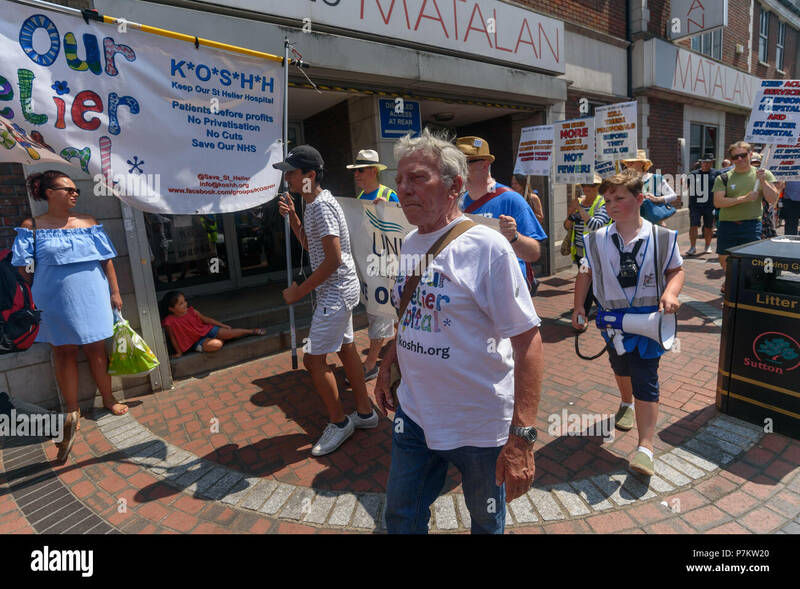 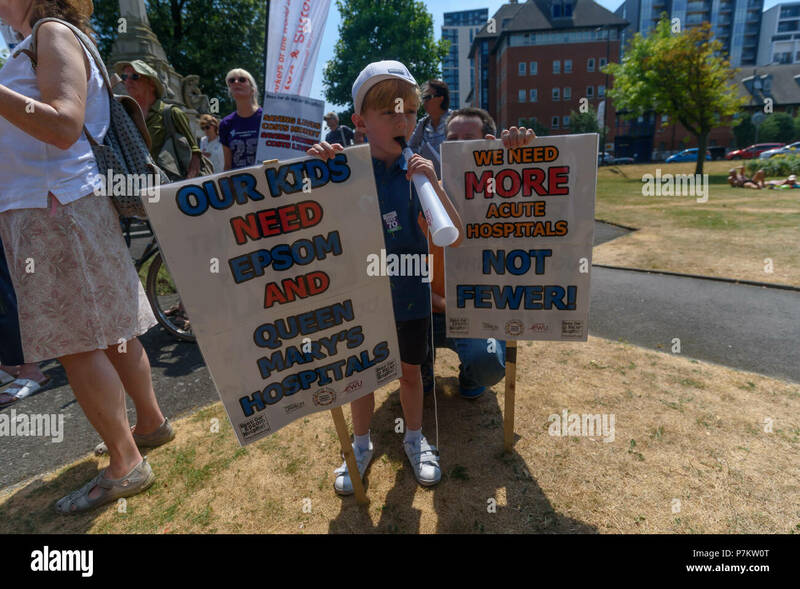 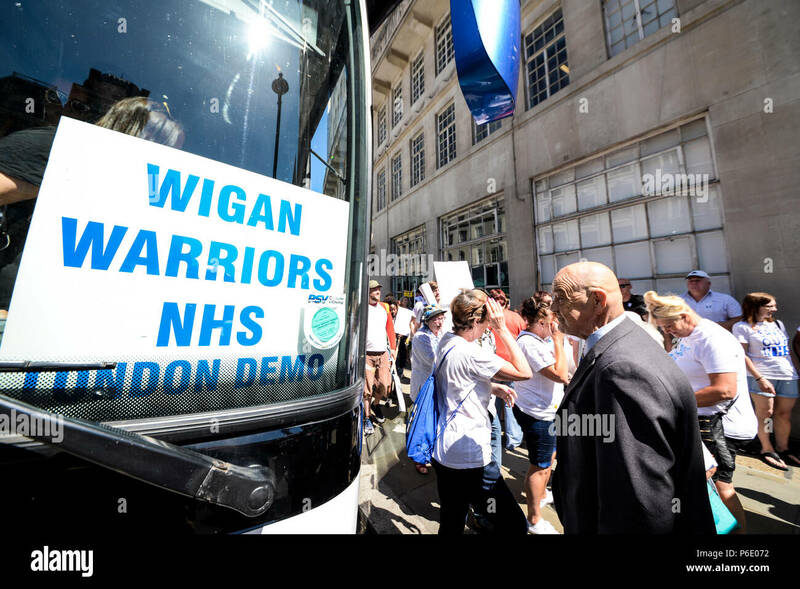 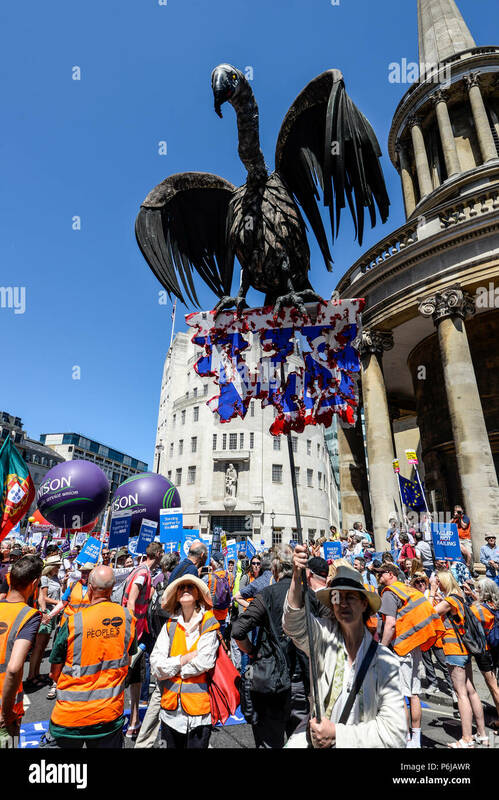 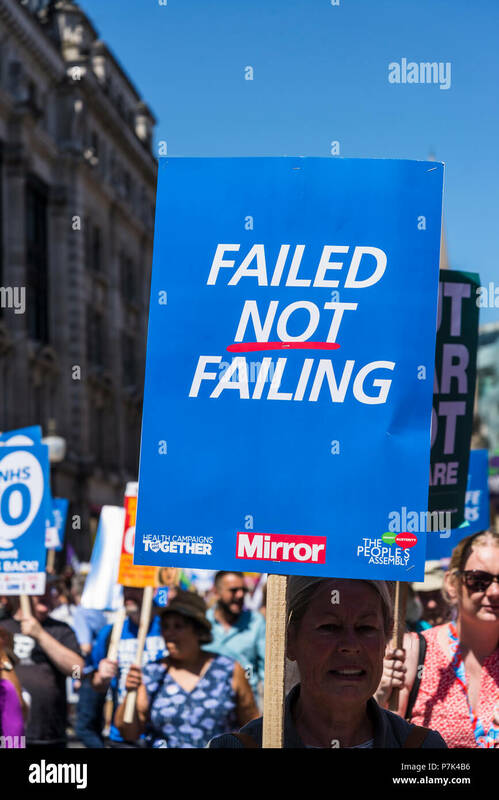 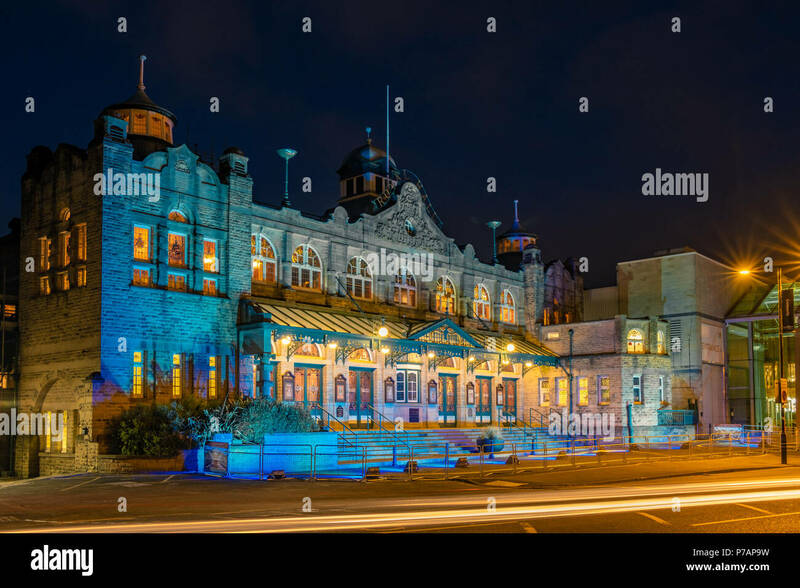 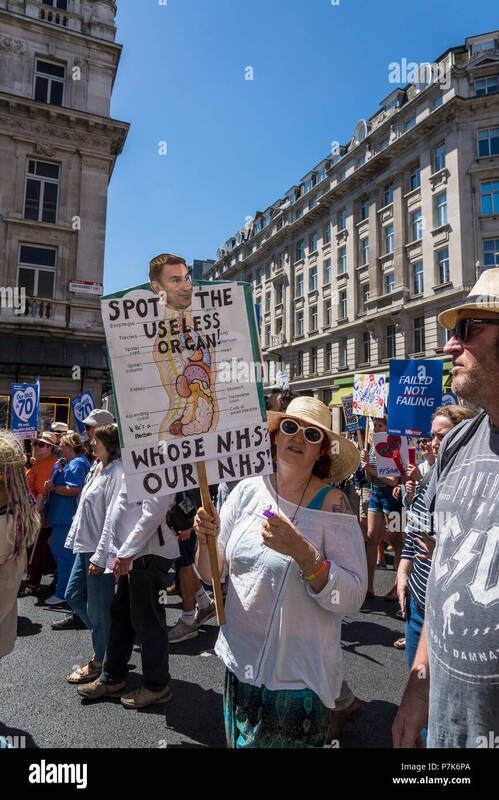 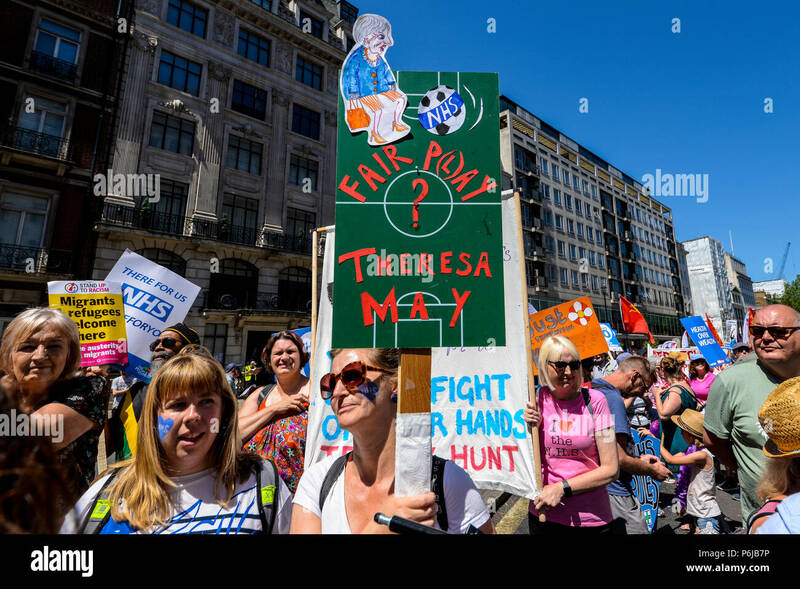 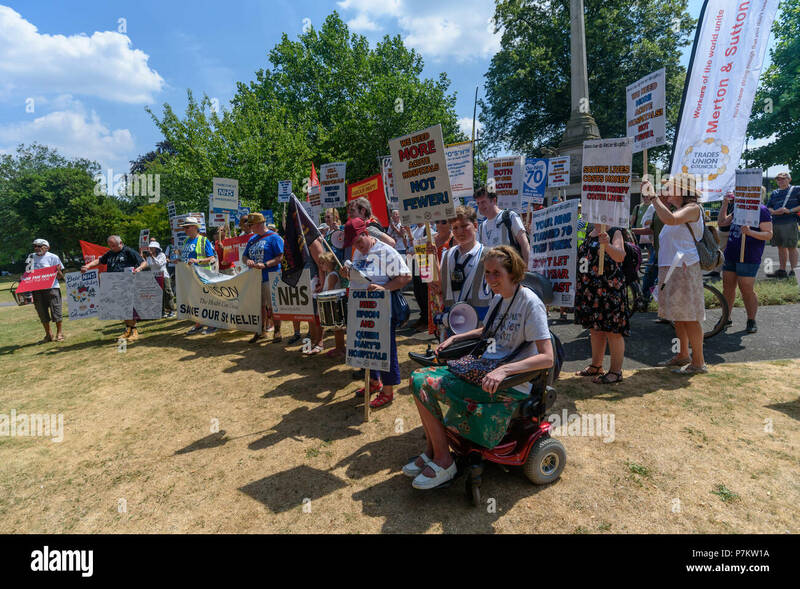 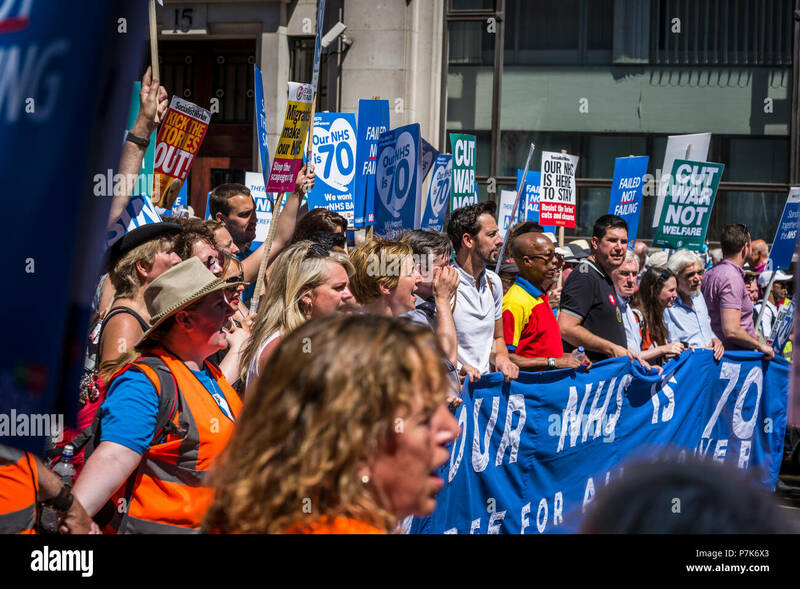 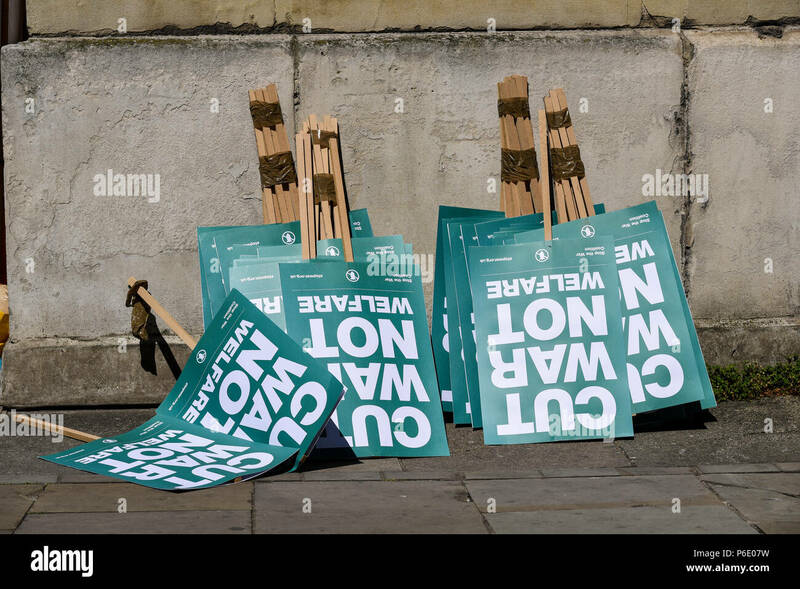 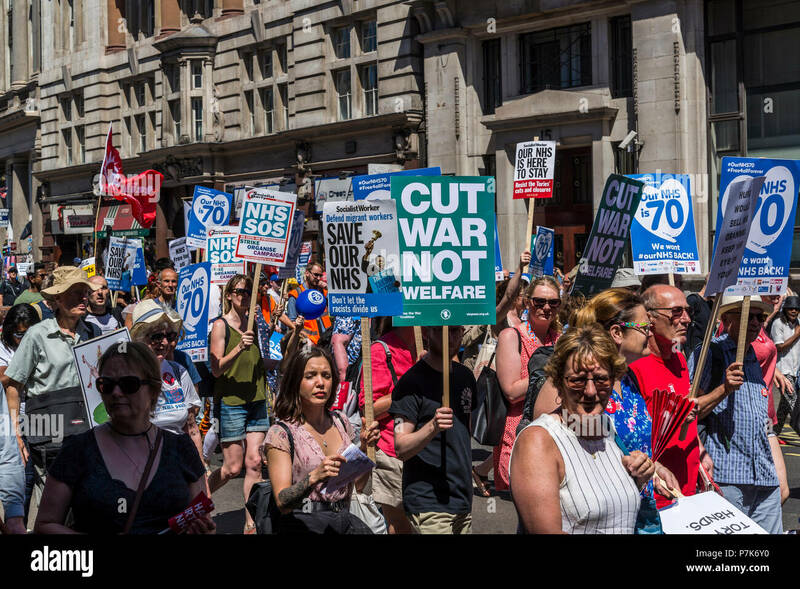 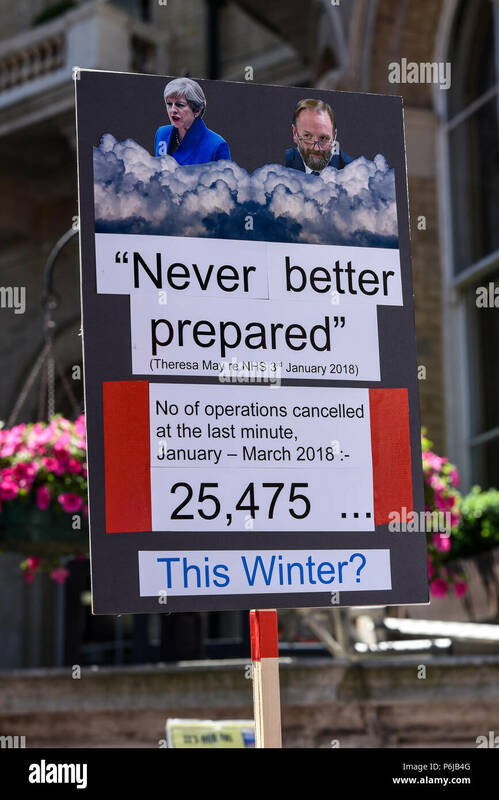 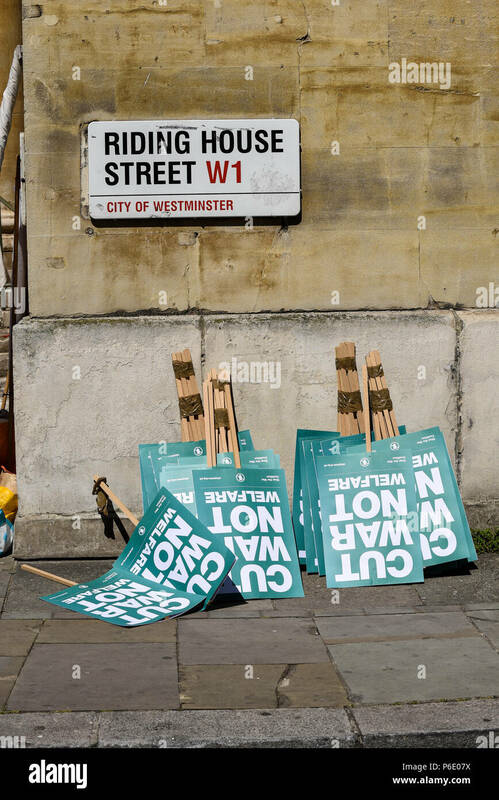 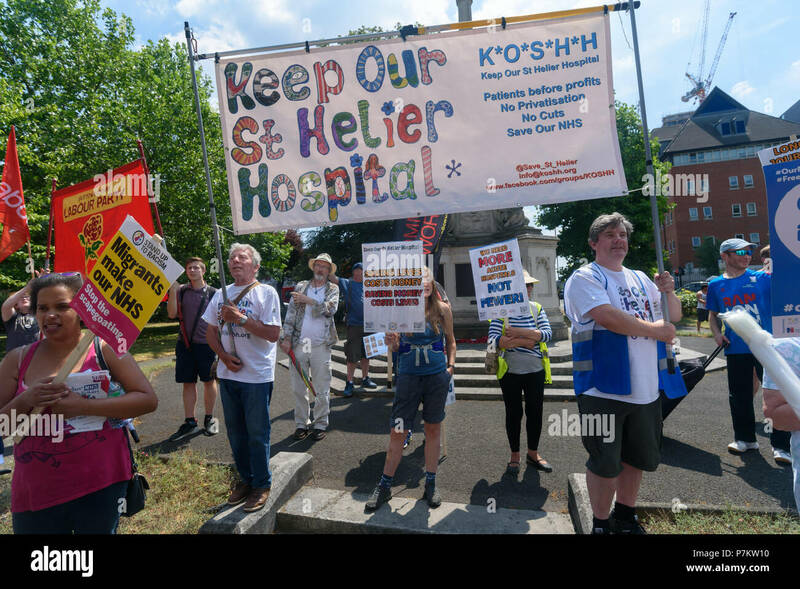 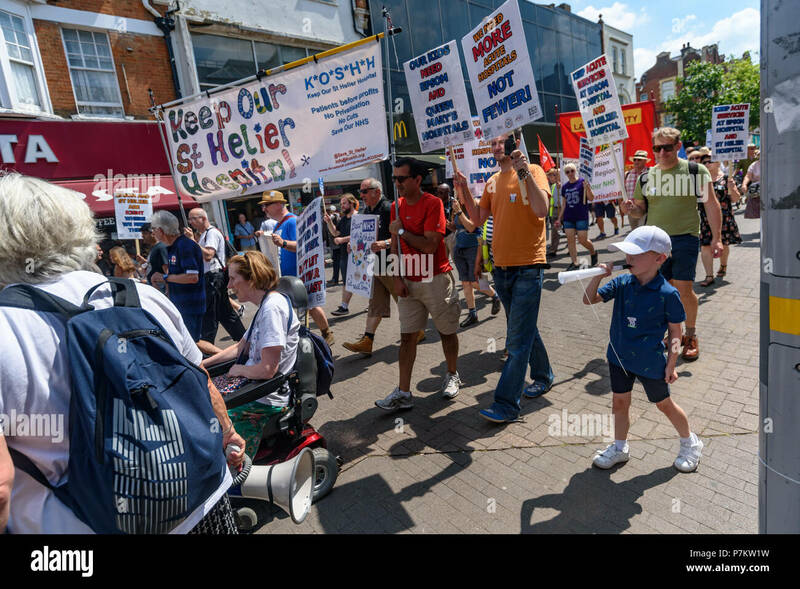 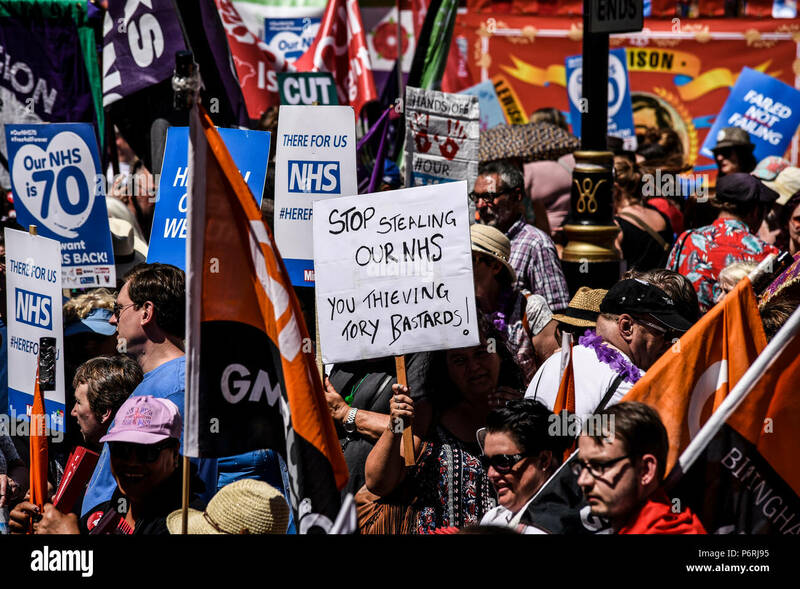 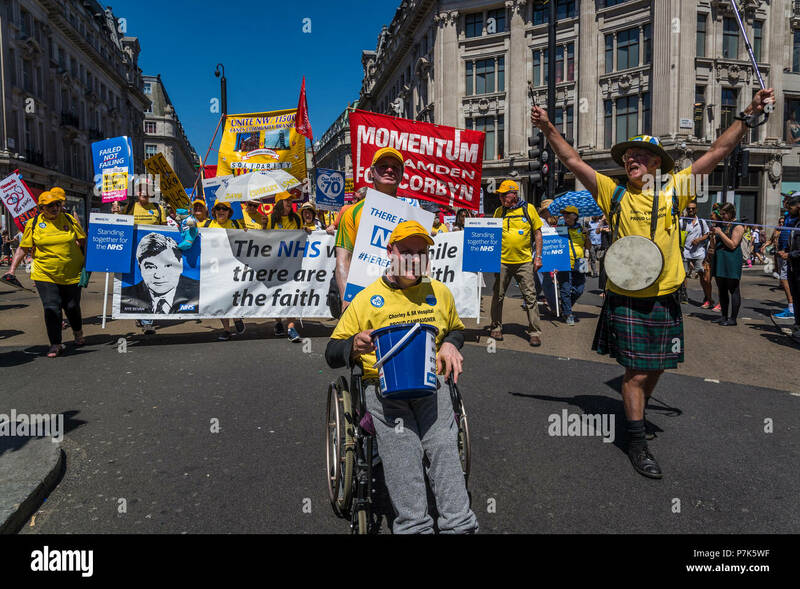 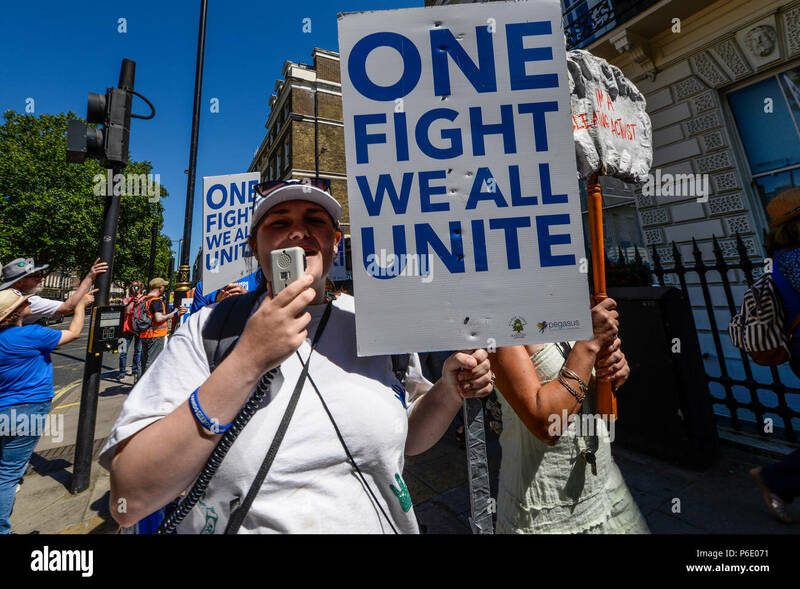 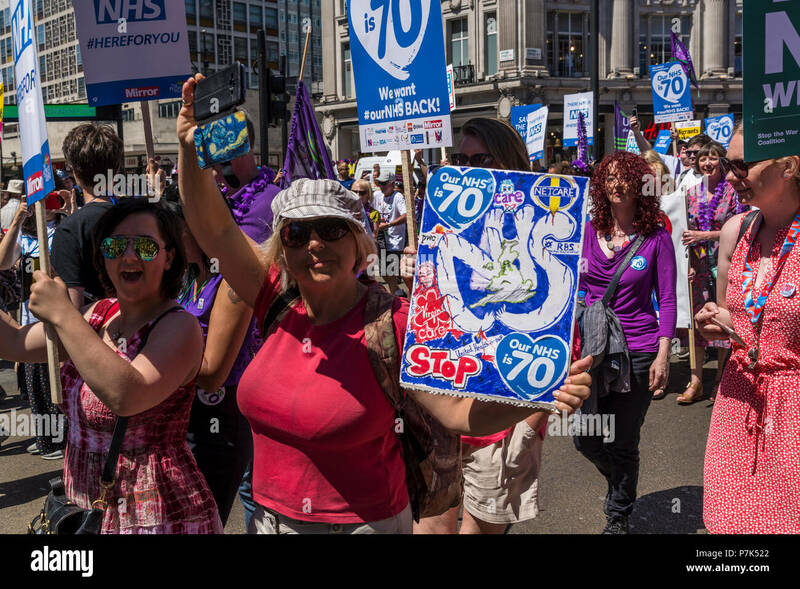 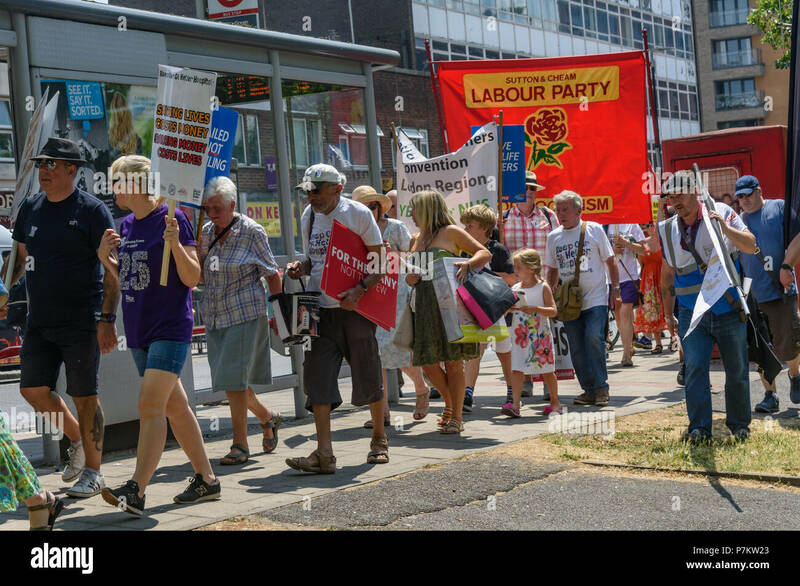 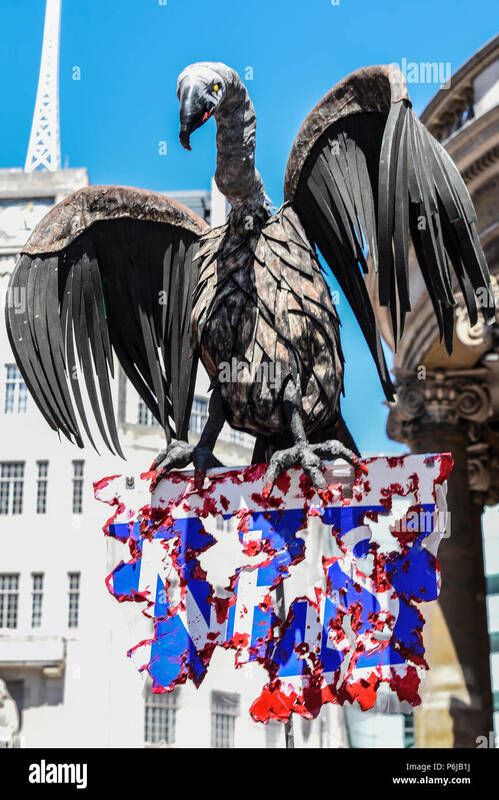 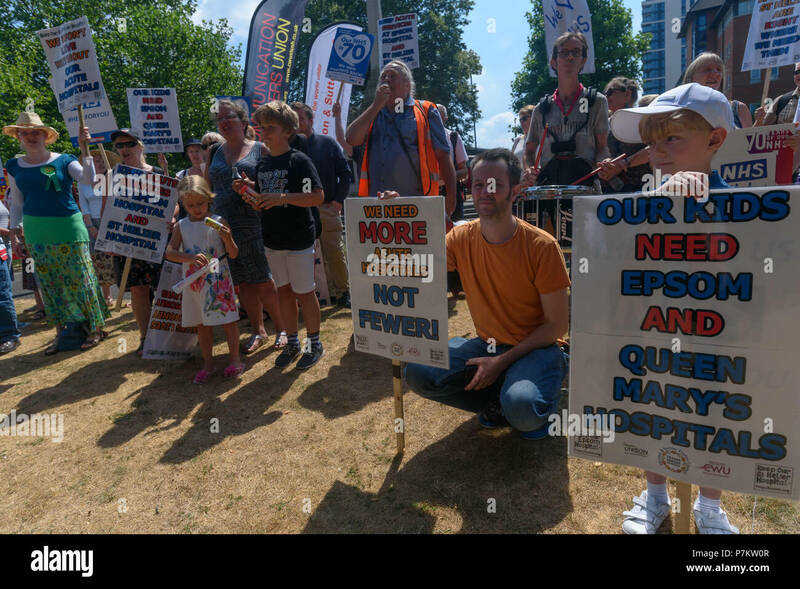 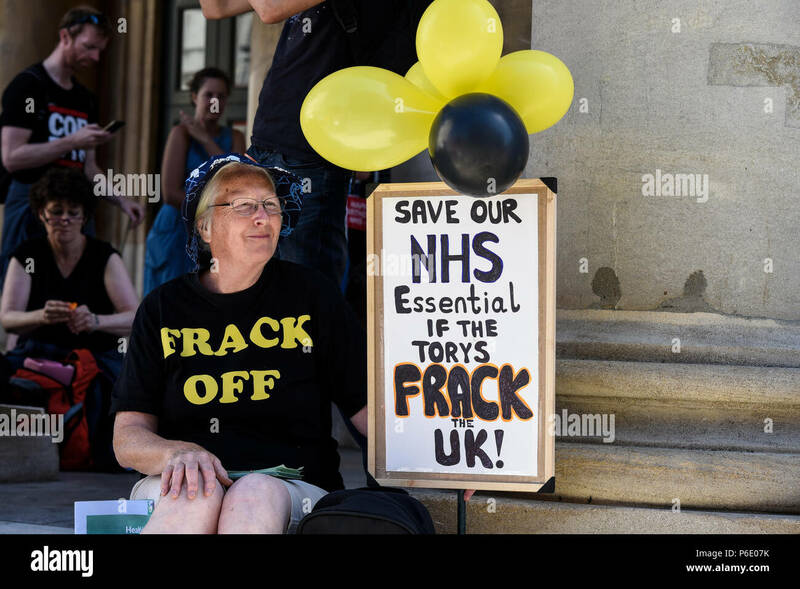 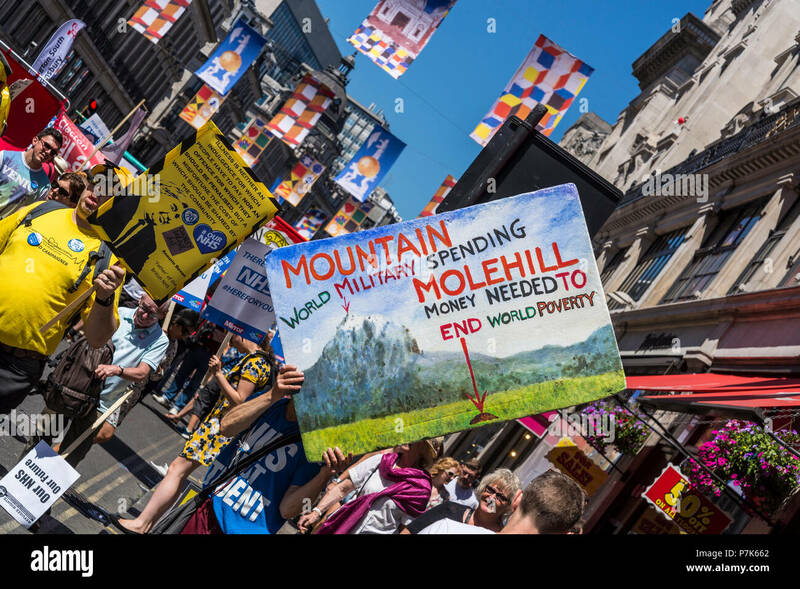 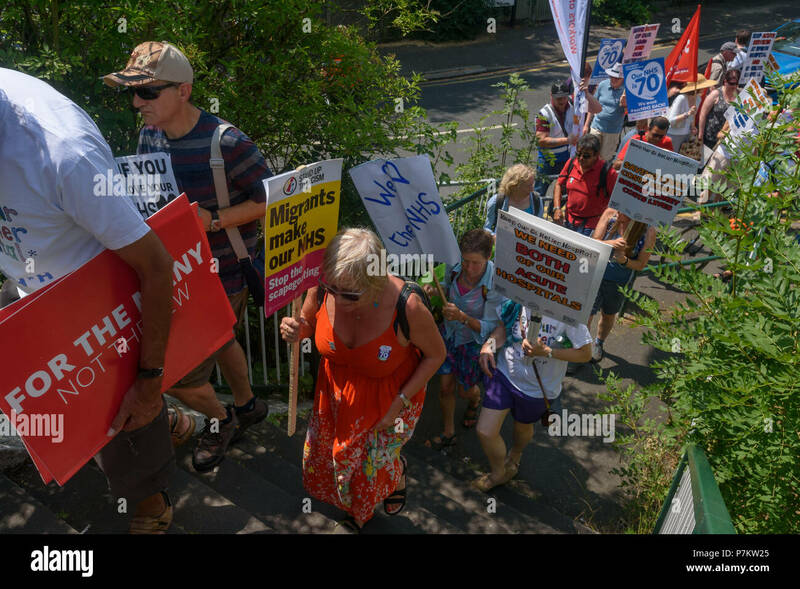 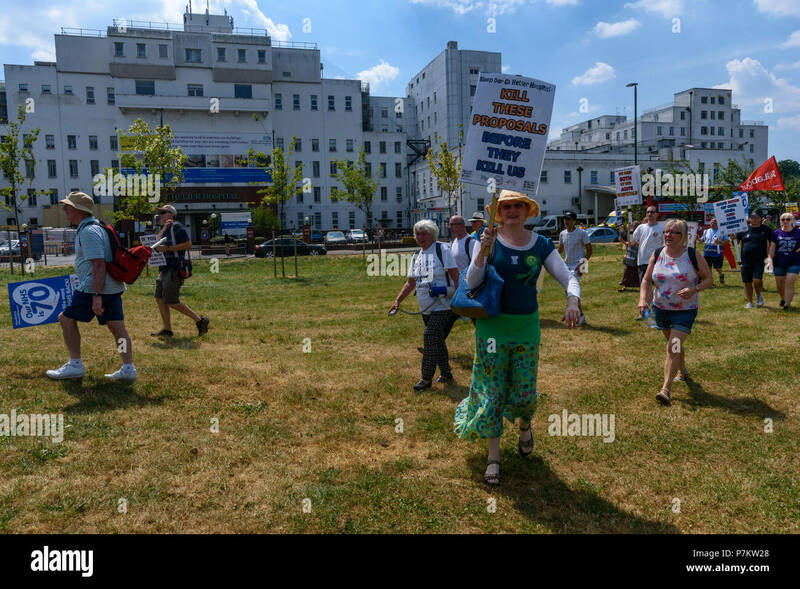 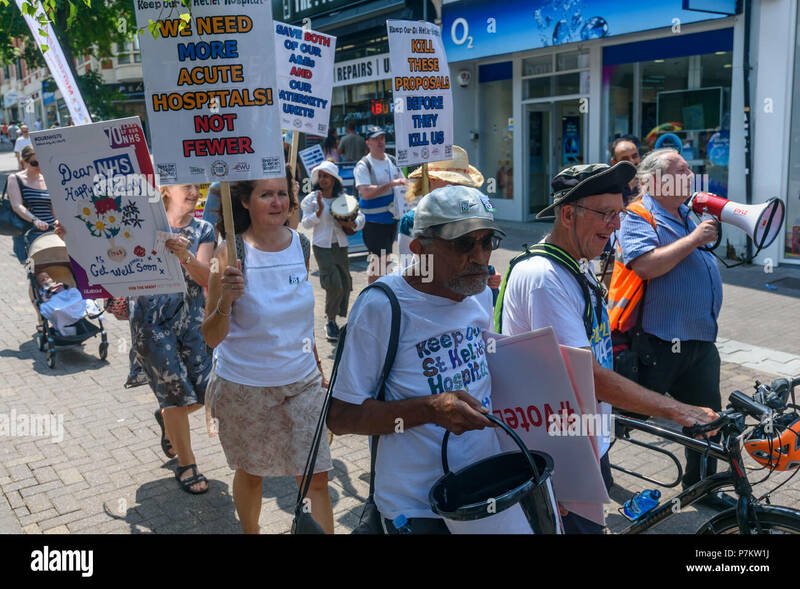 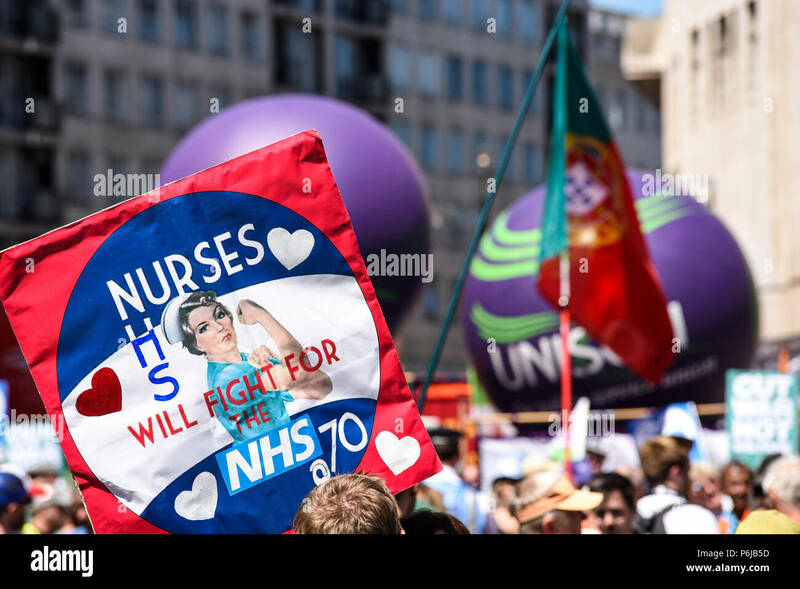 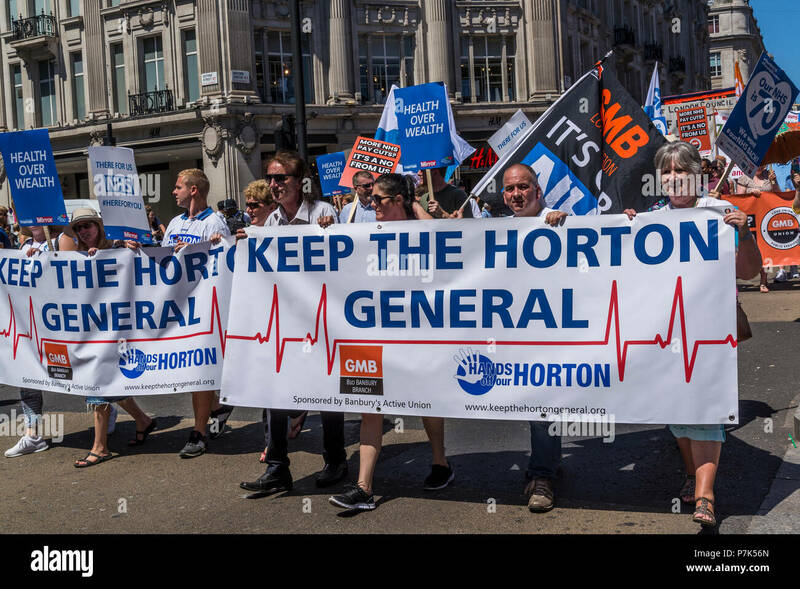 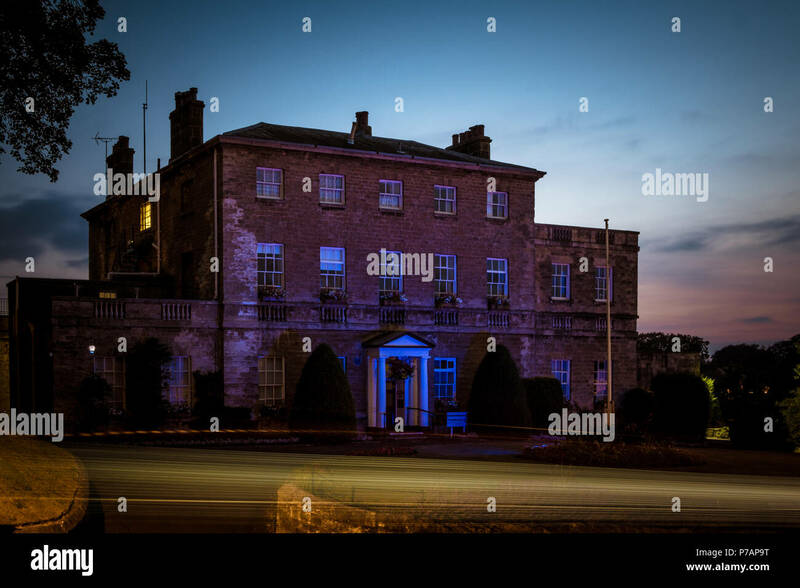 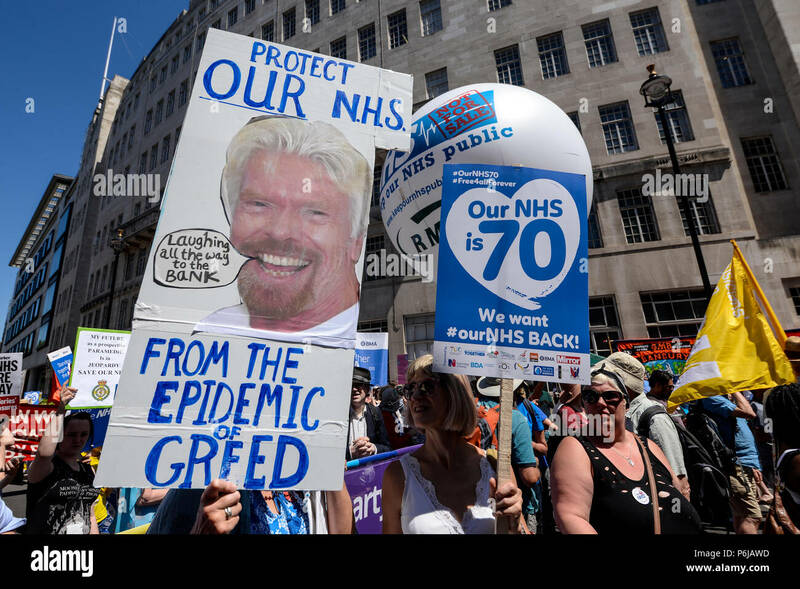 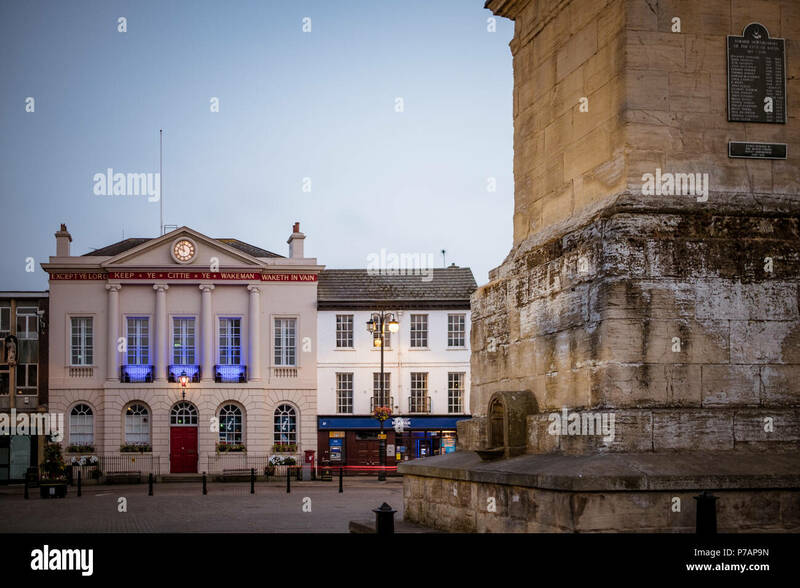 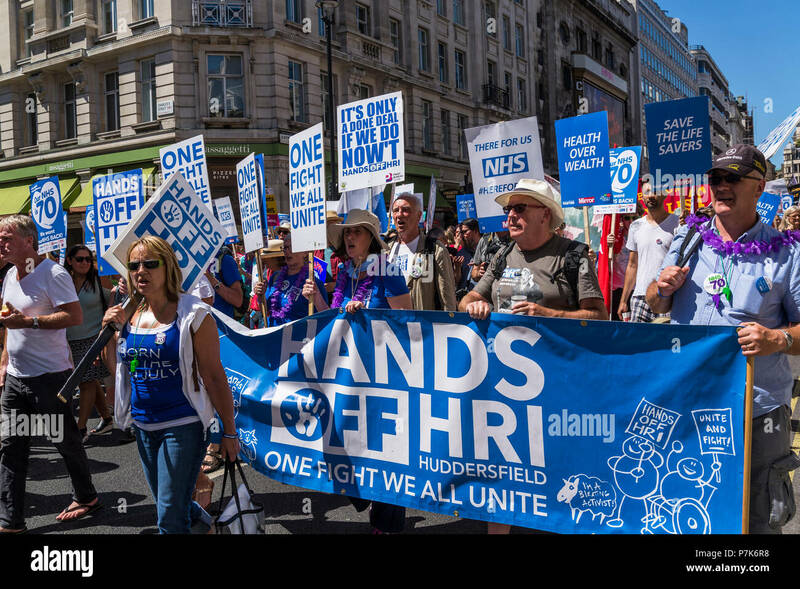 Credit: Stephen Bell/Alamy Live News. 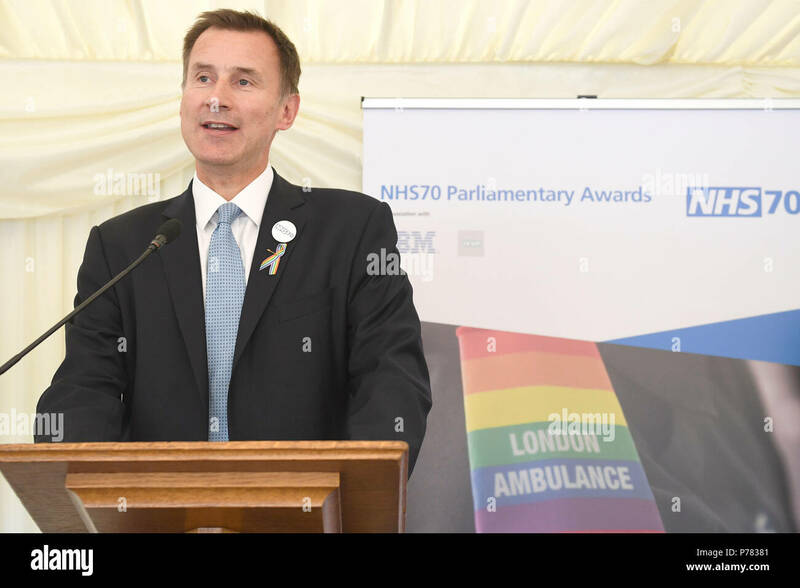 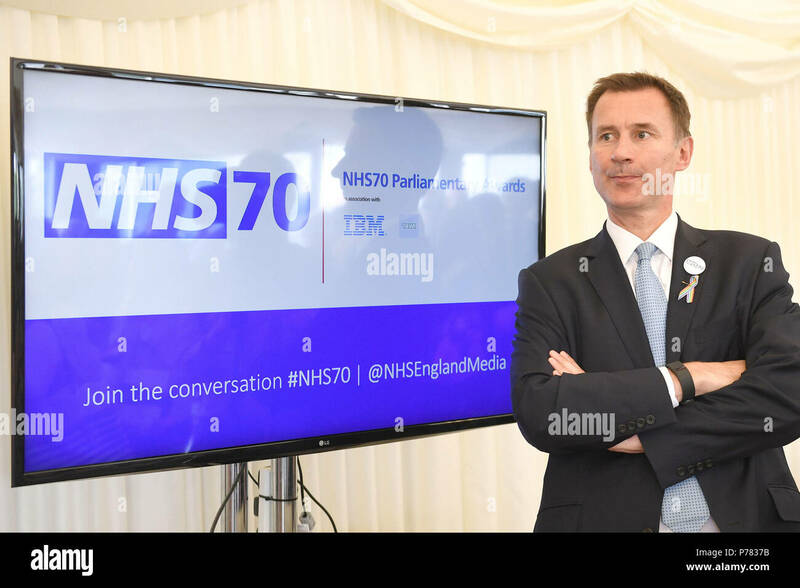 Health Secretary Jeremy Hunt attends the NHS70 parliamentary awards for the 70th anniversary of the NHS at the House of Commons in Westminster, London. 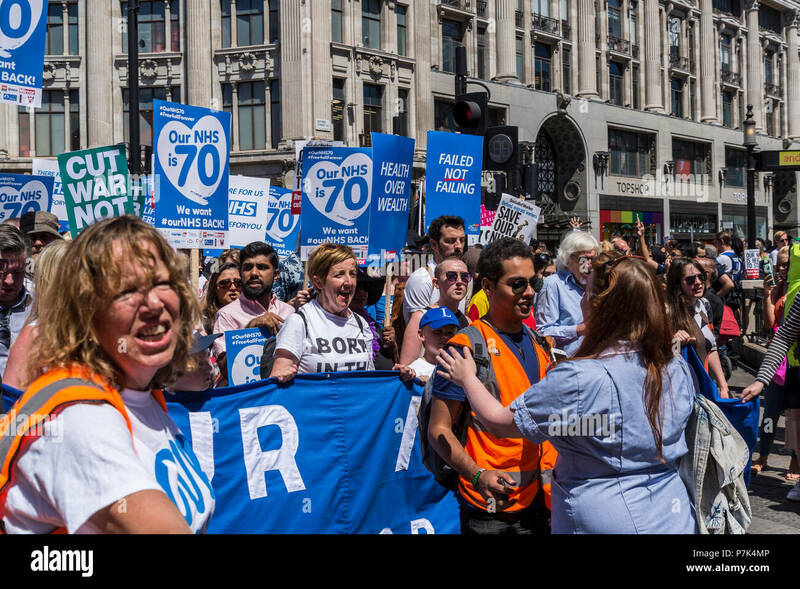 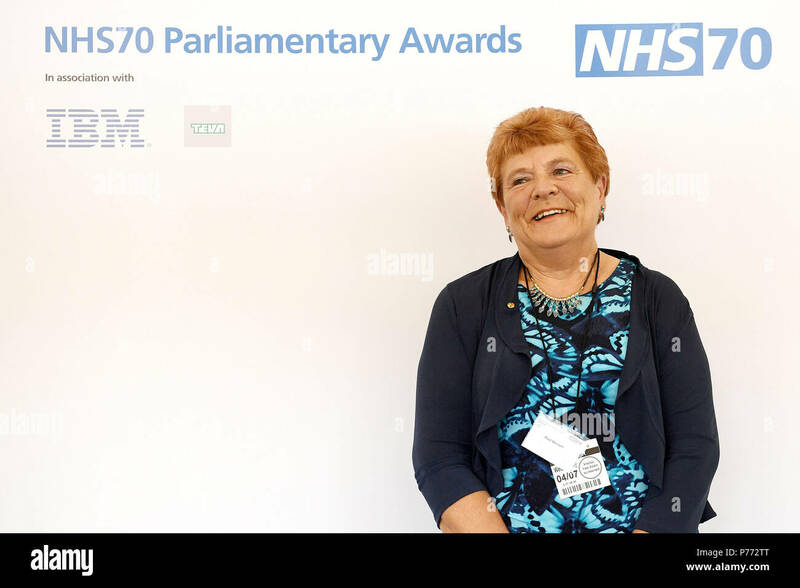 Rose Bennett of Solent NHS Trust is awarded a Lifetime Achievement Award during the NHS70 parliamentary awards for the 70th anniversary of the NHS at the House of Commons in Westminster, London. 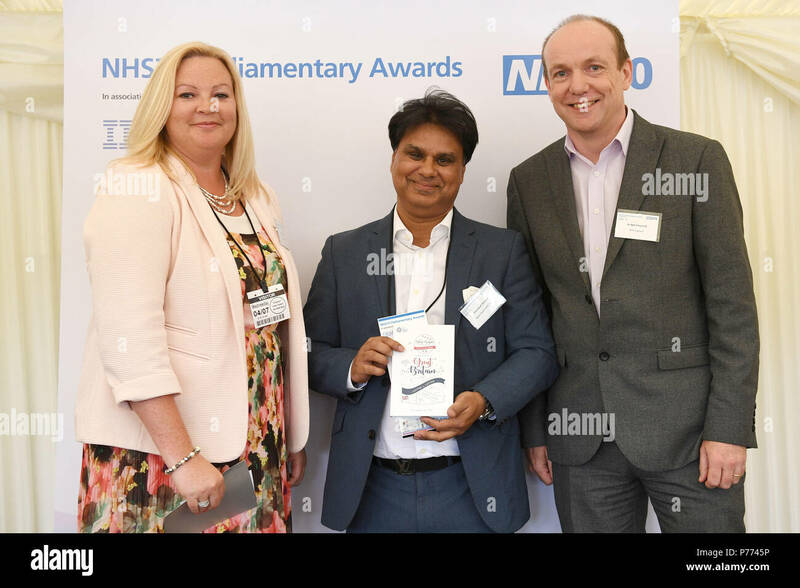 Professor Shafi Ahmed (centre) receives his Future NHS Award from Kerry Eldridge and Neil Churchill during the NHS70 parliamentary awards for the 70th anniversary of the NHS at the House of Commons in Westminster, London. 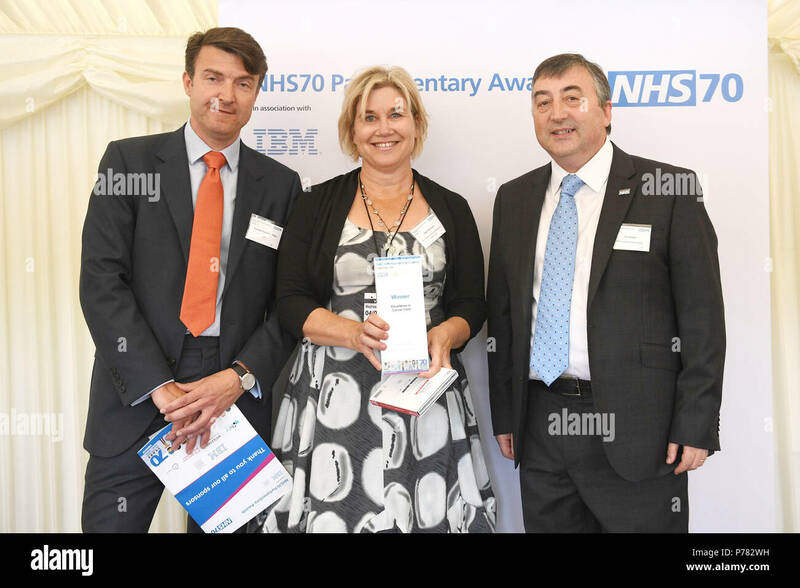 Sian Dennison receives her Excellence in Cancer care Award from Andreas Haimbock-Tichy (left) and Ian Dalton (right) during the NHS70 parliamentary awards for the 70th anniversary of the NHS at the House of Commons in Westminster, London. 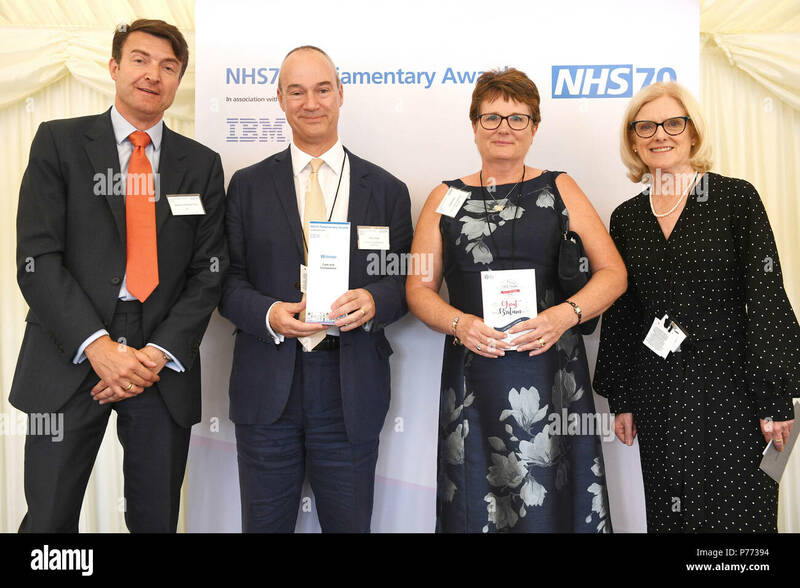 Angela Fenn (second right) and Nick Craver (second left) are given the Care and Compassion Award from Andreas Haimbock -Tichy (left) and Janet Davies (right) during the NHS70 parliamentary awards for the 70th anniversary of the NHS at the House of Commons in Westminster, London. 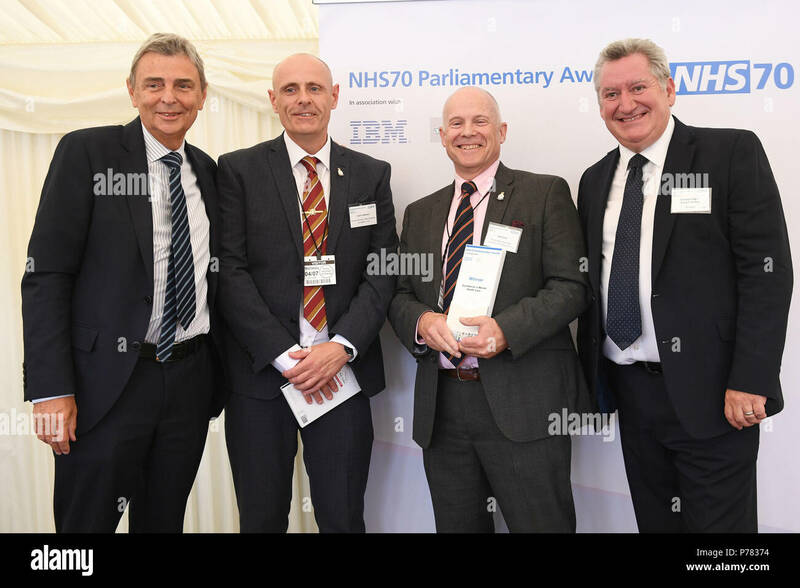 Dr David Raven (second right) receives his Excellence in Urgent and Emergency Care Award from Simon Gillespie (first left) and Drv Jeeves Wijesuriya (first right) during the NHS70 parliamentary awards for the 70th anniversary of the NHS at the House of Commons in Westminster, London. 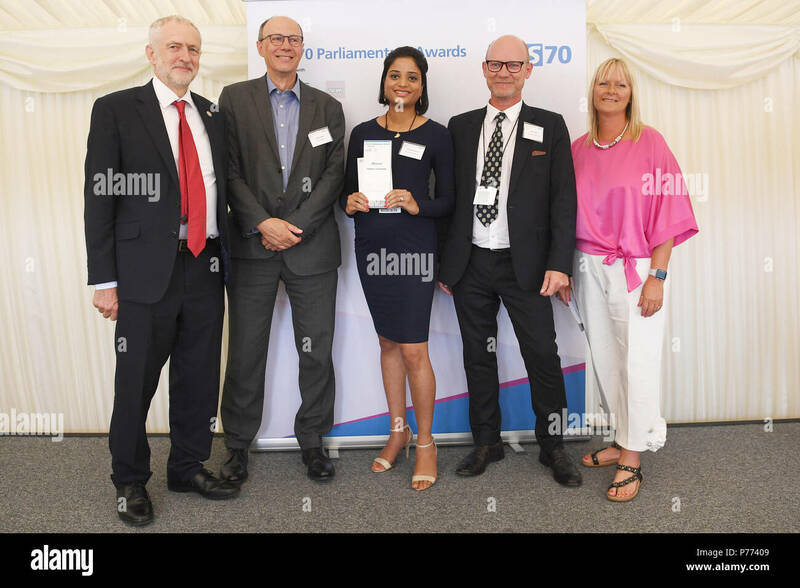 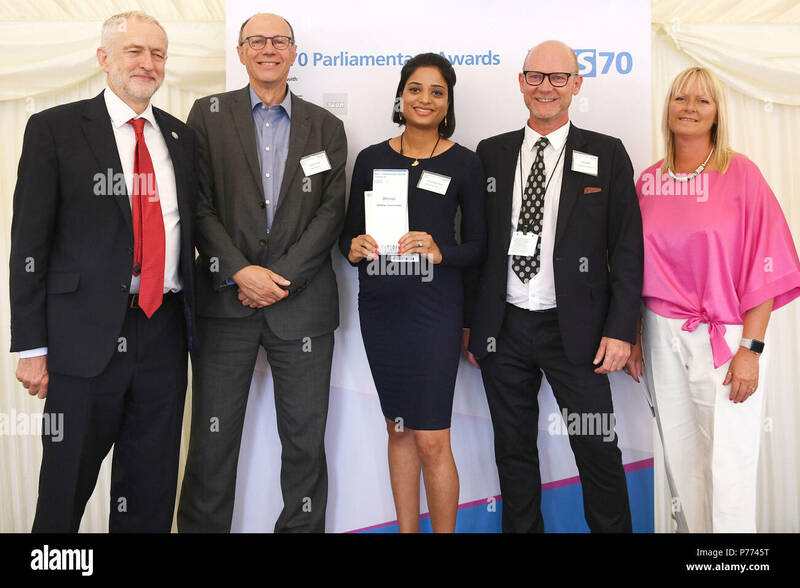 Dr Rammya Mathew (centre) and Dr Mike Clowes (second right) receive their Healthier Com unities Award from Jeremy Corbyn, Stephen Powis (second left) and Kate Smith (right) during the NHS70 parliamentary awards for the 70th anniversary of the NHS at the House of Commons in Westminster, London. 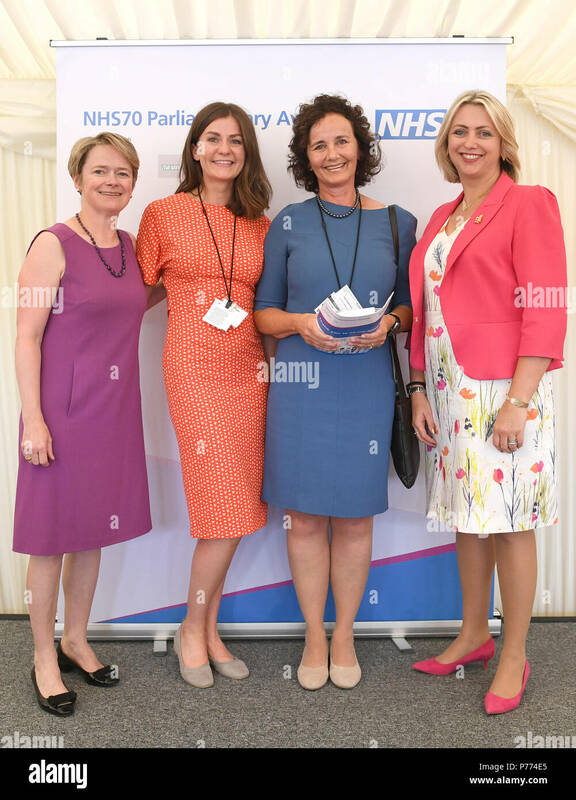 Susan Blackmore of Cumbria Health On Call receives her Excellence in Primary Care Award from Dr Helen Stokes Lampard (first right) and Baroness Dido Harding (first left) during the NHS70 parliamentary awards for the 70th anniversary of the NHS at the House of Commons in Westminster, London. 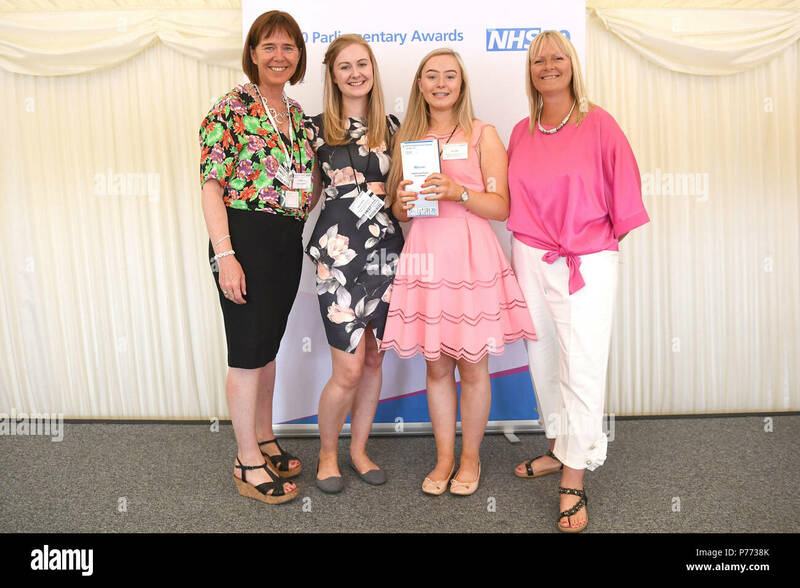 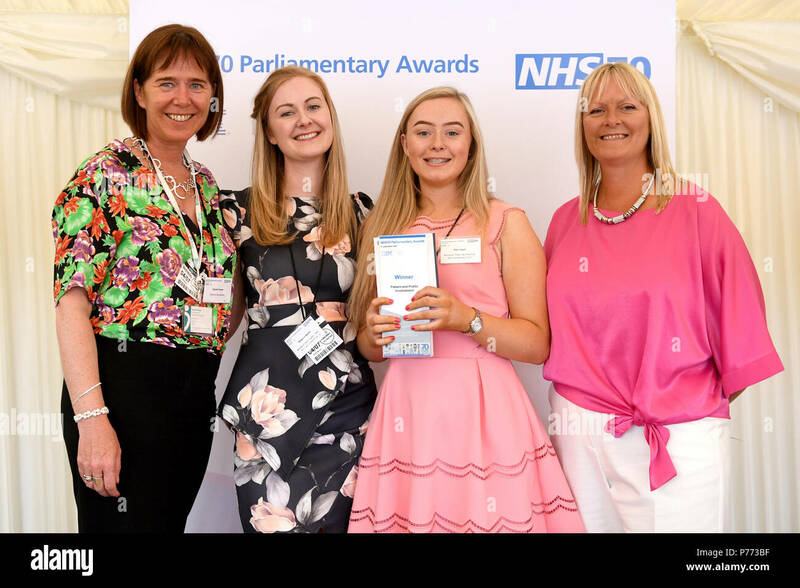 Rebecca Booth (second left) and Alex Sagar (second right) of Victoria's Voice Youth Forum in Blackpool are given the Patient and Public Involvement Award from Kate Smith (right) and Rachel Power (left) during the NHS70 parliamentary awards for the 70th anniversary of the NHS at the House of Commons in Westminster, London. 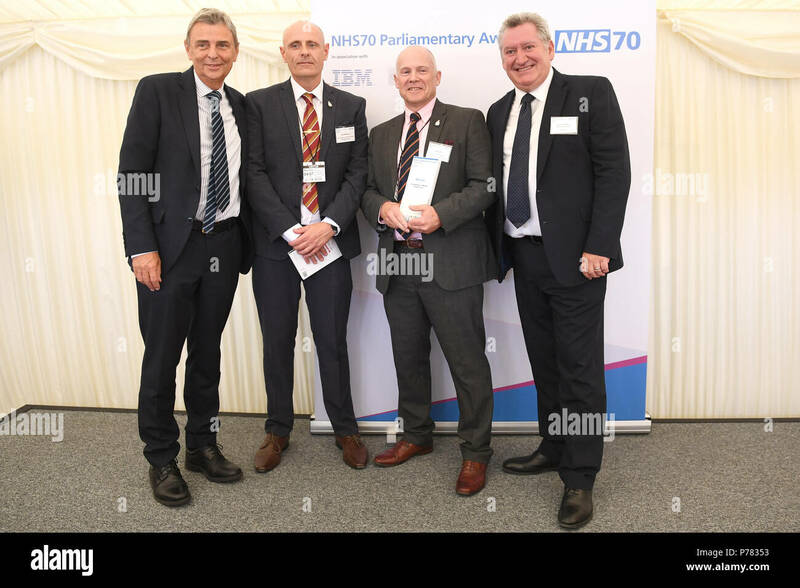 Jason Wilkinson (second left) and Andy Gritt (second right) of Dorset armed Forces Community Health and Wellbeing Project receive their Excellence in Mental Healthcare Award from UNISON General Secretary Dave Prentis (first left) and Dr Craig Errington (first right) during the NHS70 parliamentary awards for the 70th anniversary of the NHS at the House of Commons in Westminster, London. 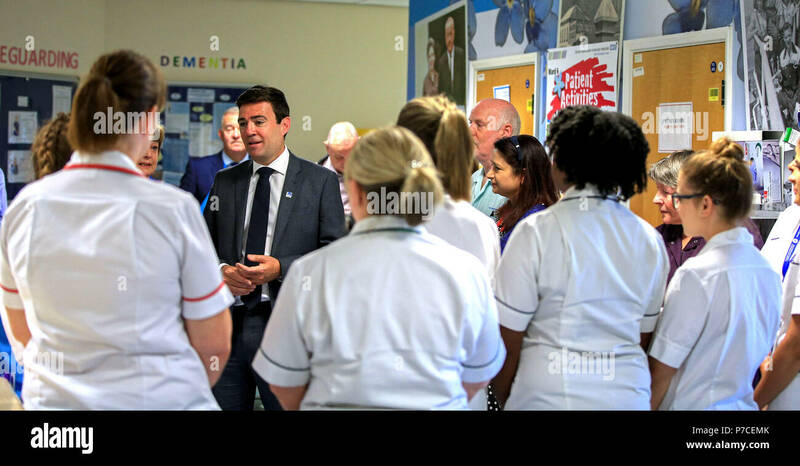 Mayor of Greater Manchester Andy Burnham talks to staff during his visit to Trafford General Hospital in Manchester, to mark the 70th anniversary of the NHS. 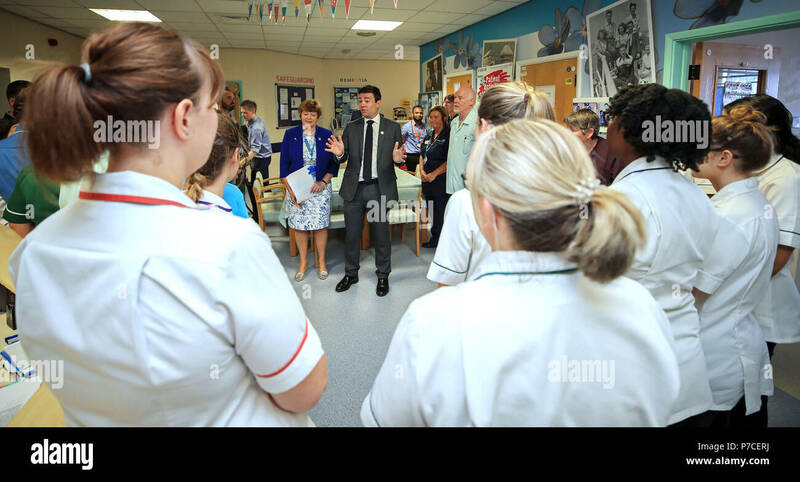 Mayor of Greater Manchester Andy Burnham talks to staff at Trafford General Hospital in Manchester to mark the 70th anniversary of the NHS. 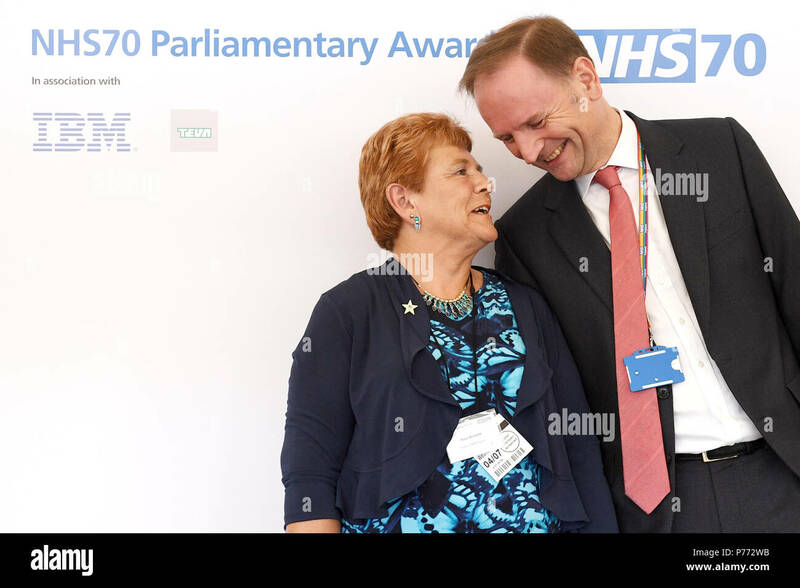 The Countess of Wessex leaves with Dean of Westminster, John Hall after attending a service to celebrate the 70th anniversary of the NHS at Westminster Abbey in London.